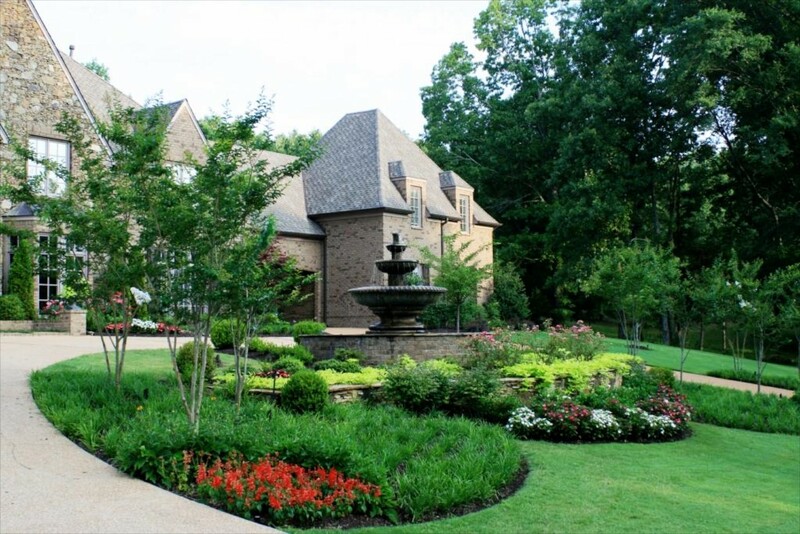 Is the process and activity of planning, organizing, motivating, and controlling resources, procedures and protocols to achieve specific goals while balancing scope, time, quality and budget. The stage of the landscape design process involving the organization of land use zoning, access, circulation, privacy, security, shelter, land drainage, and other factors. 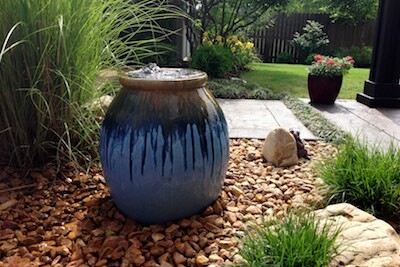 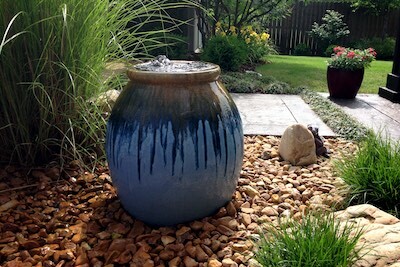 From cascading streams to bubbling urns or contemporary water features, the sound of water can offer many levels of relaxation & tranquility to any space providing an intimate setting one can enjoy for years to come. 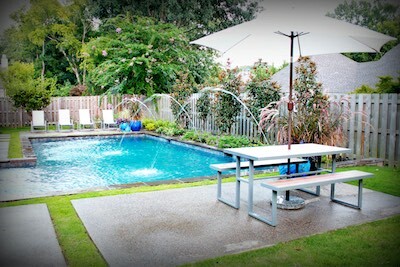 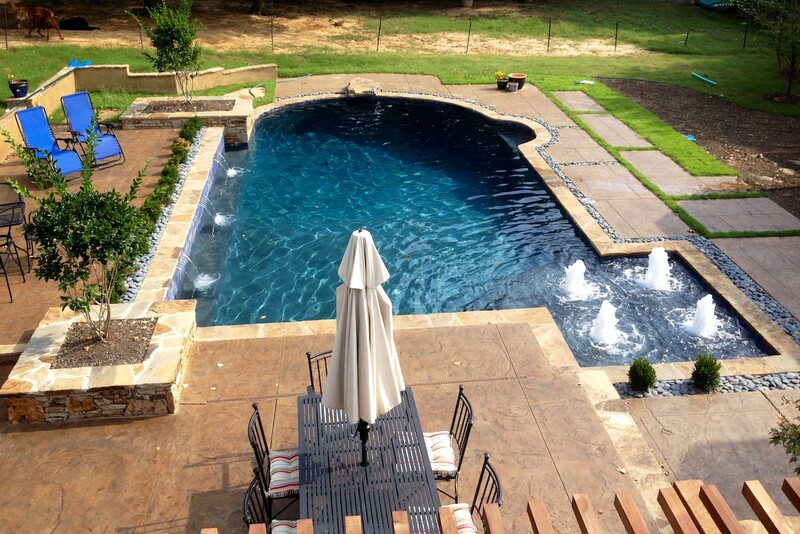 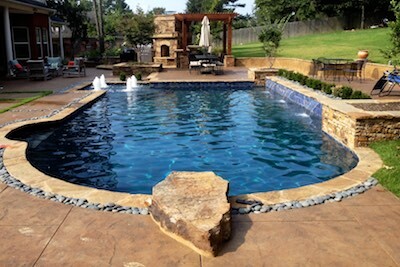 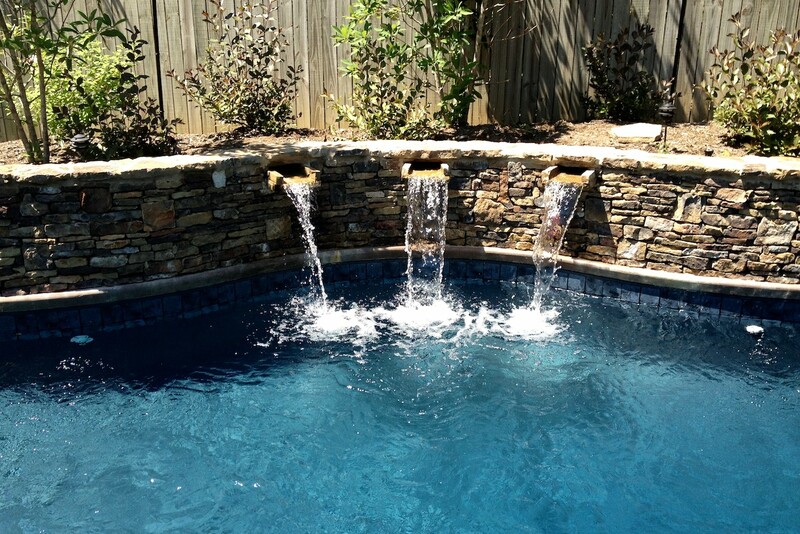 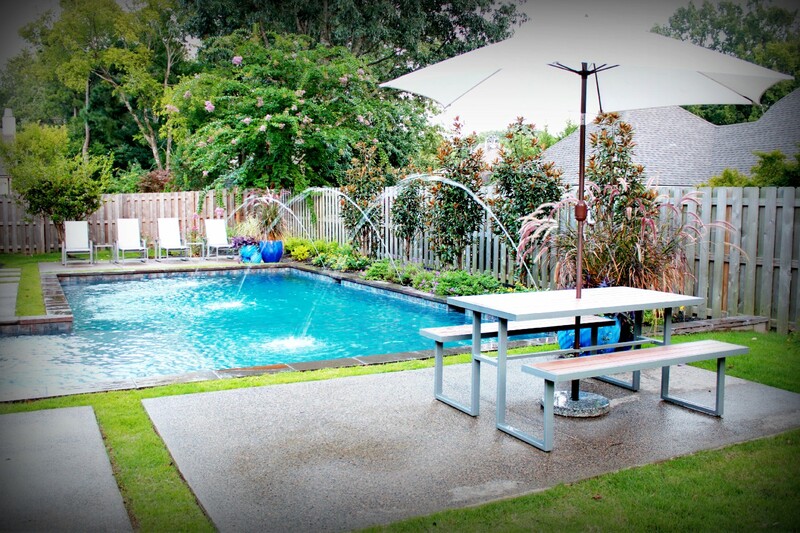 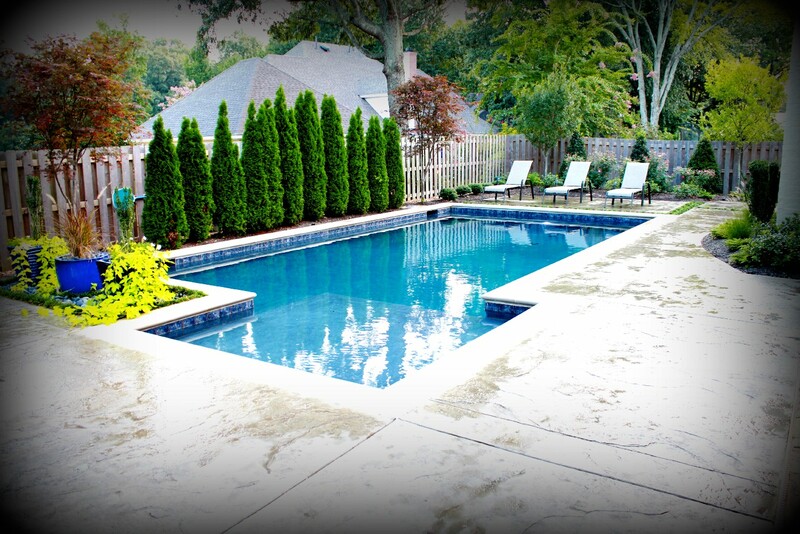 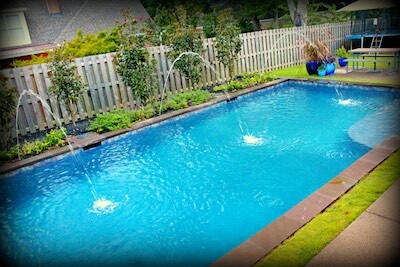 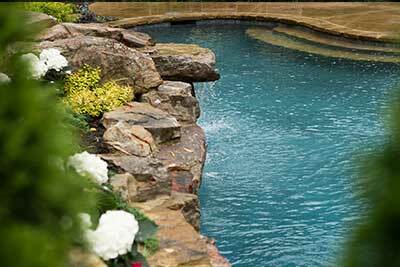 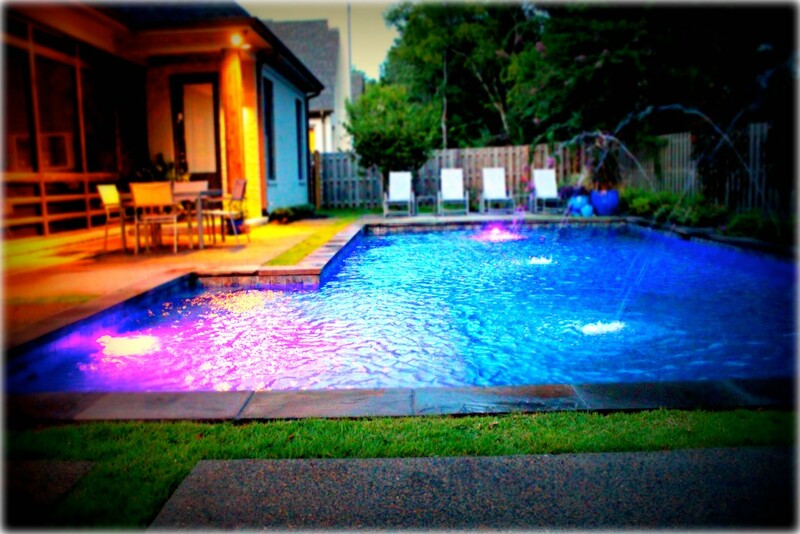 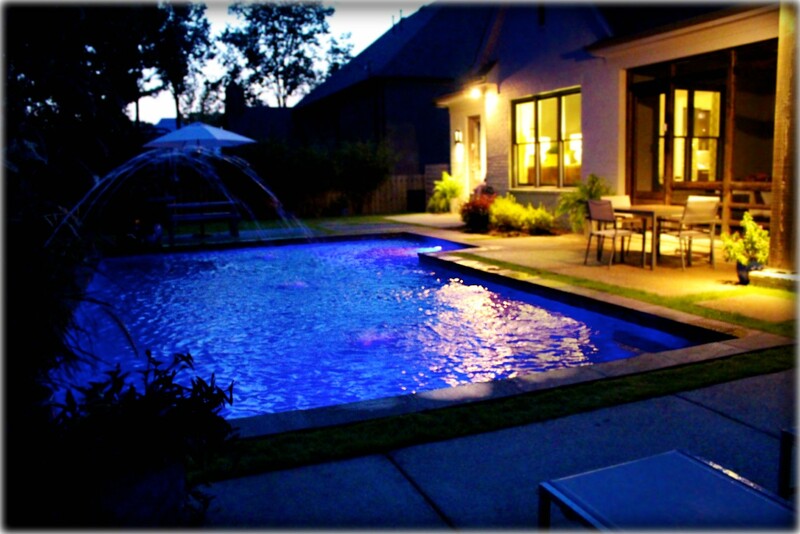 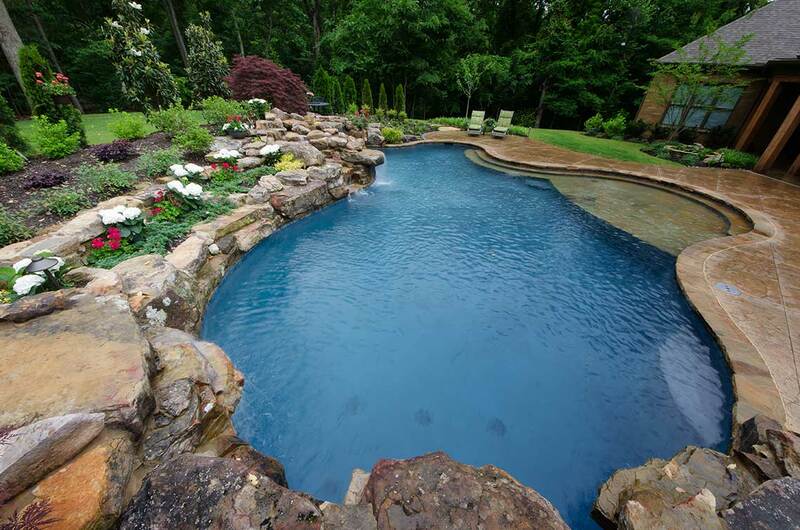 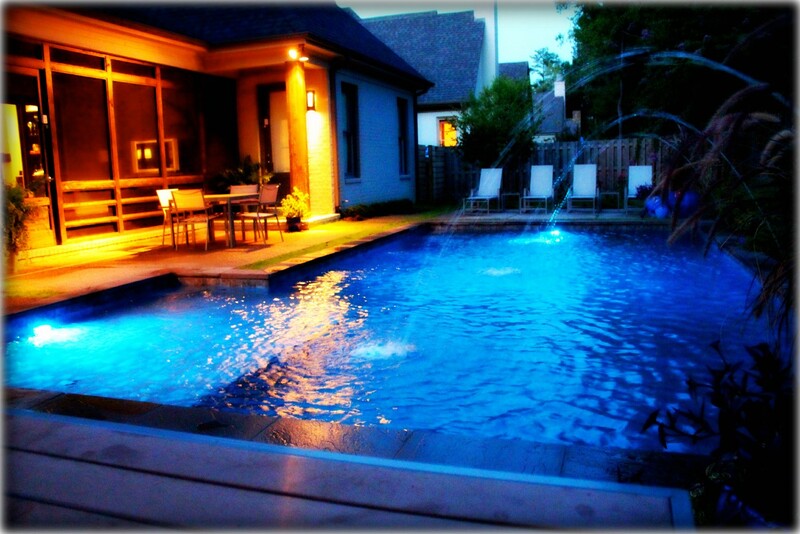 The design of pools can be as creative as the imagination allows. 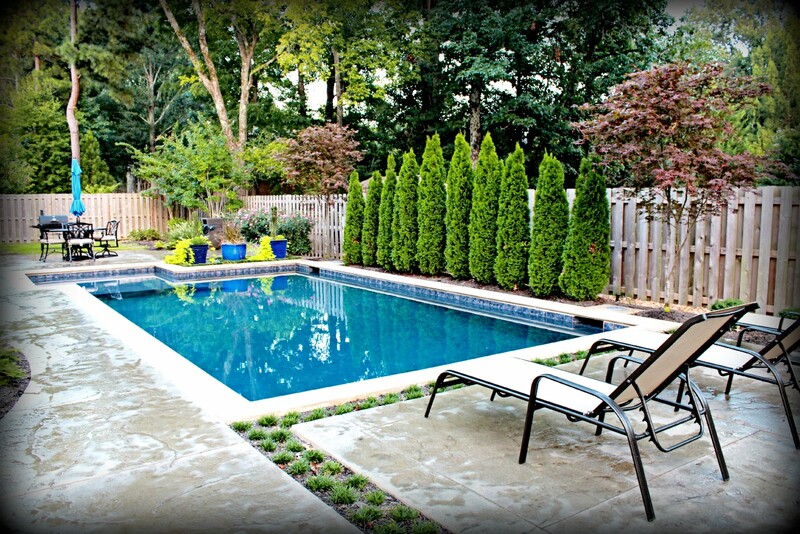 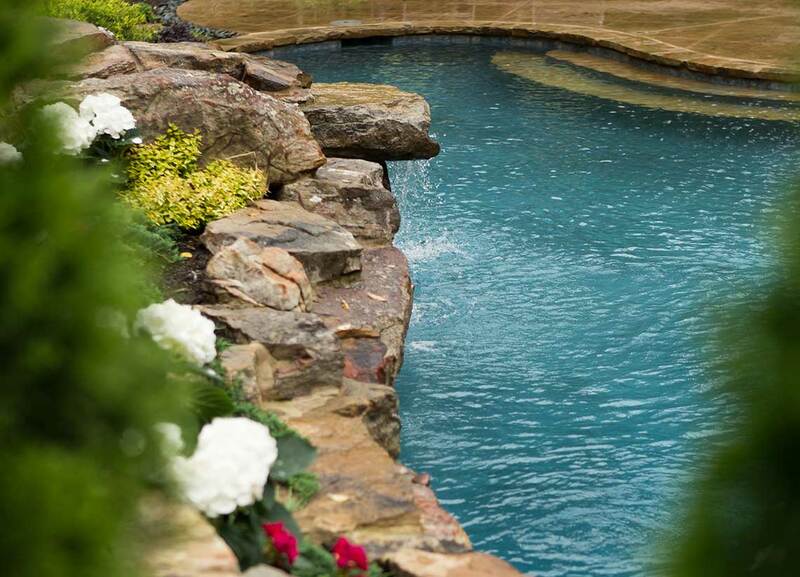 Whether organic in form or geometric shapes creating contemporary palettes, a custom pool can set your backyard apart from the rest. 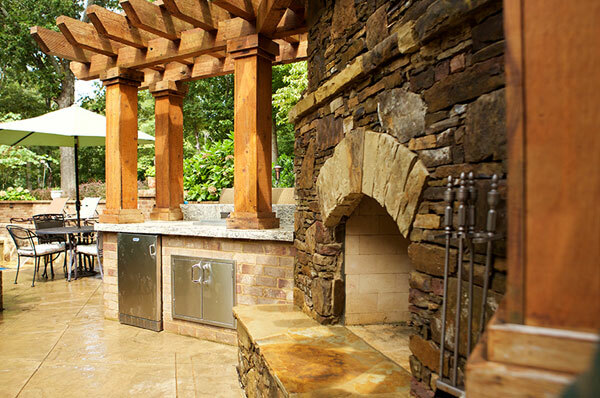 Creating unique spaces of enjoyment personalized to your families needs with special features such as outdoor kitchens, fireplaces, fire pits and pergolas. 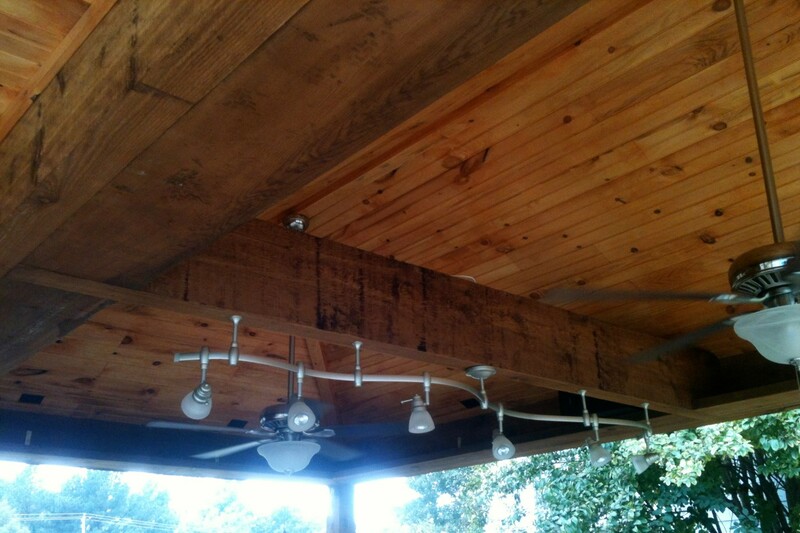 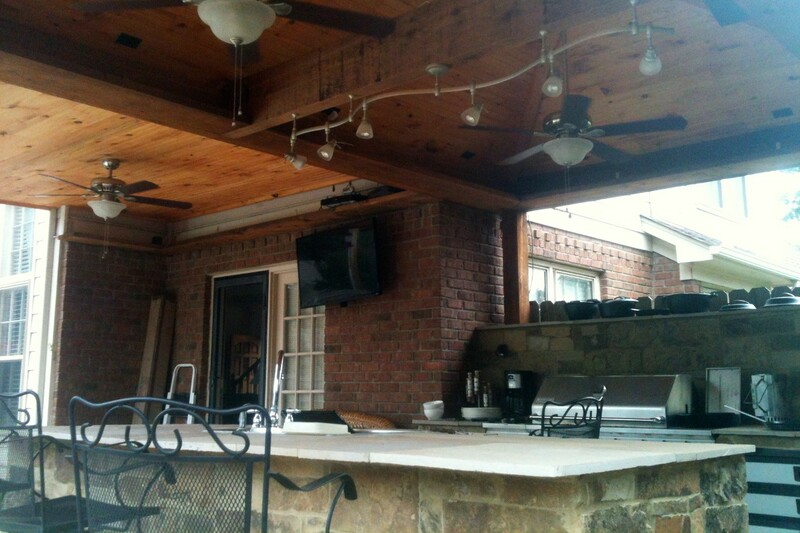 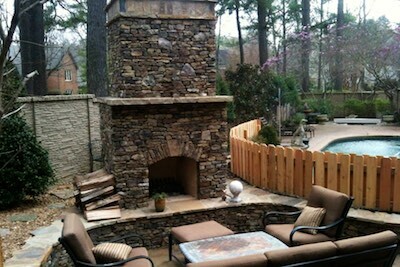 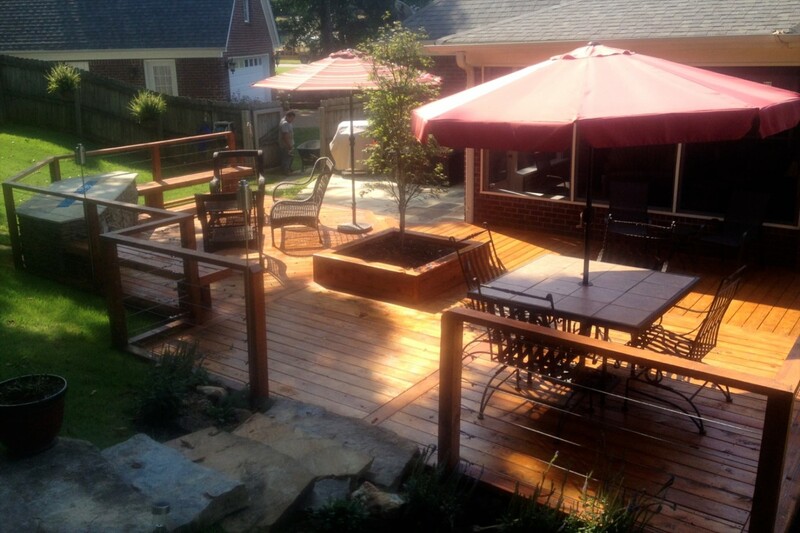 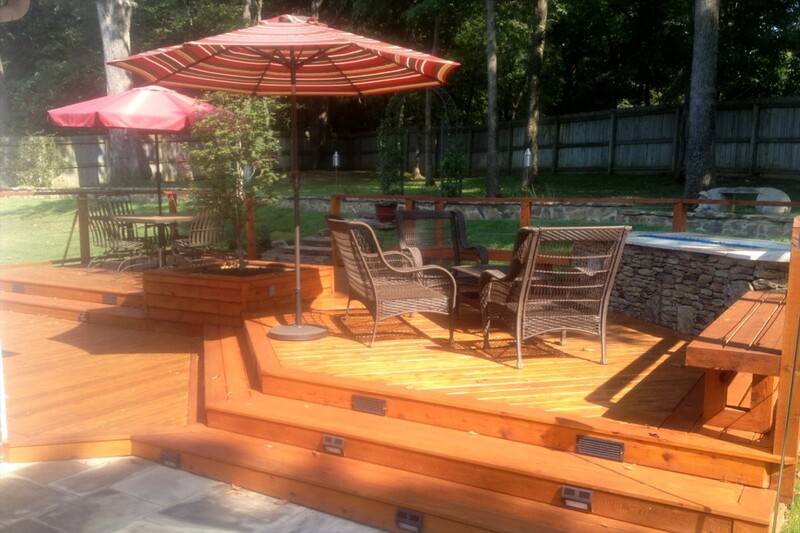 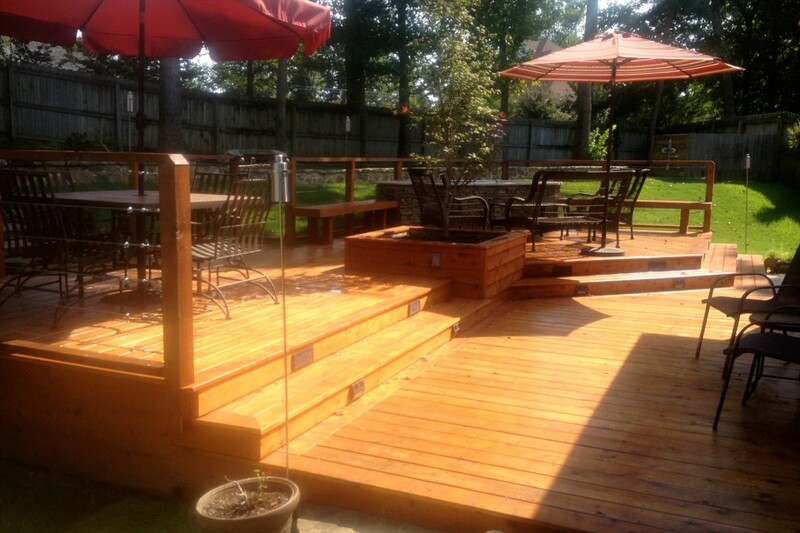 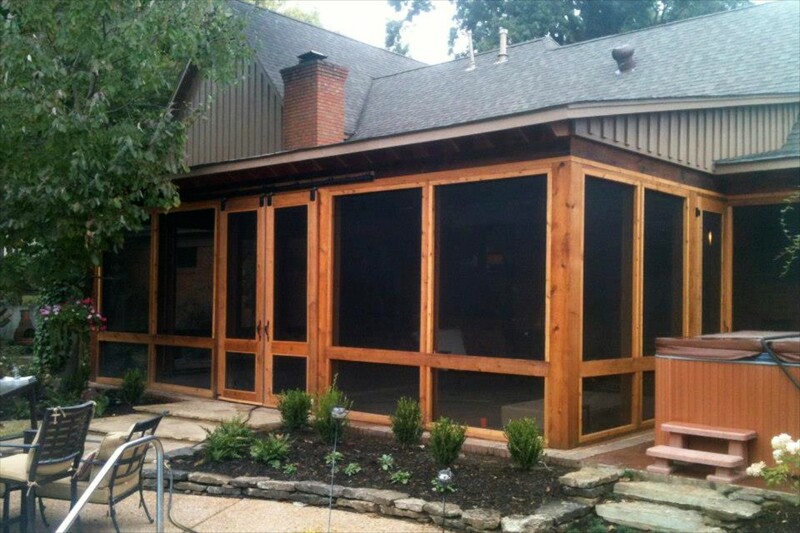 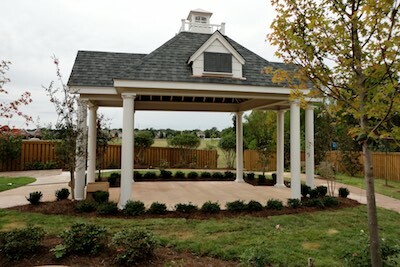 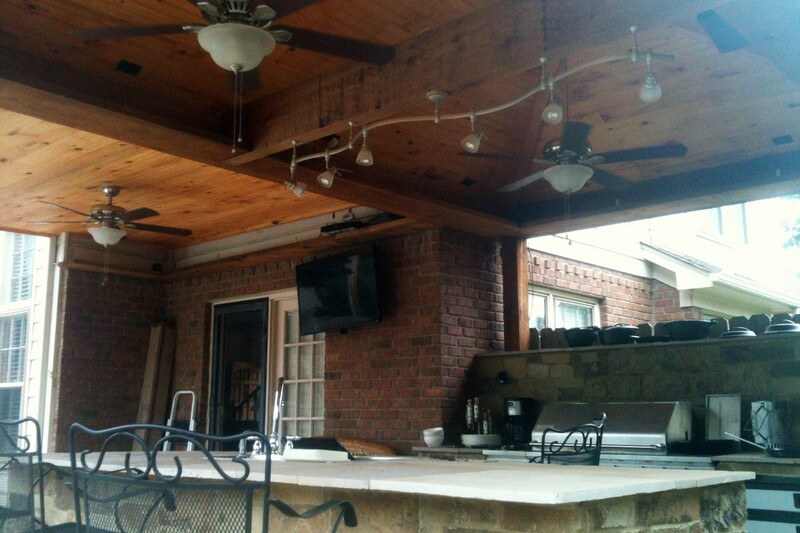 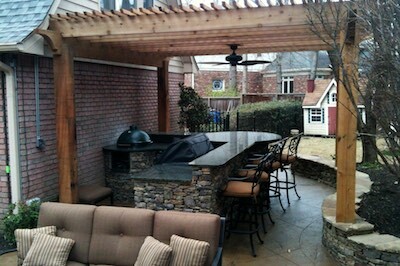 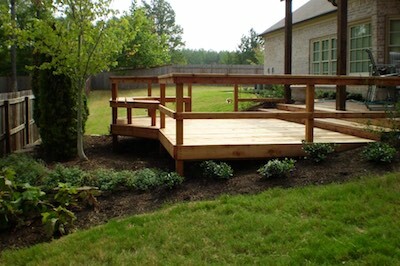 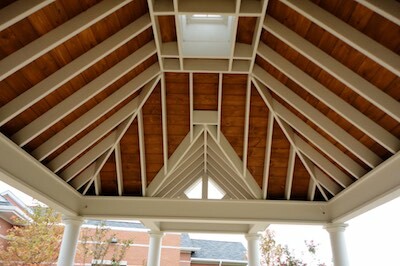 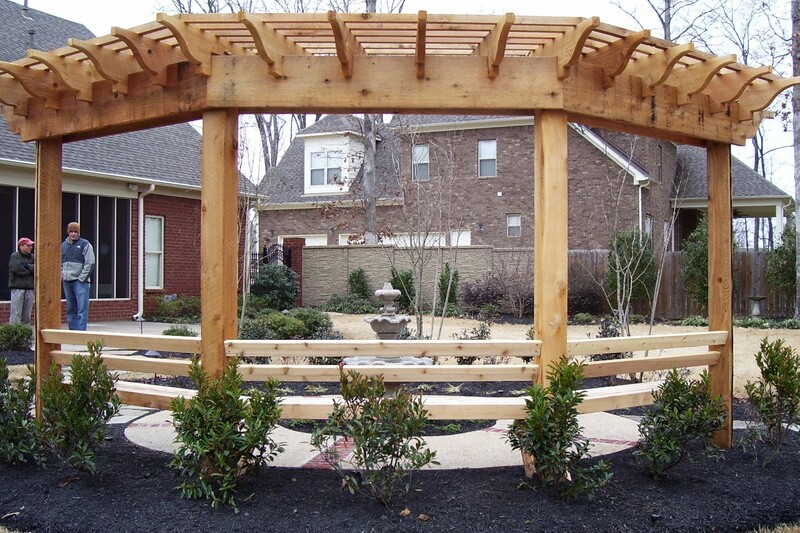 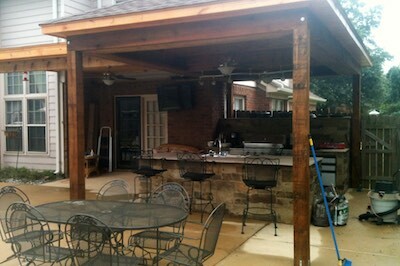 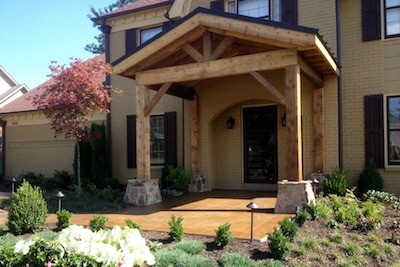 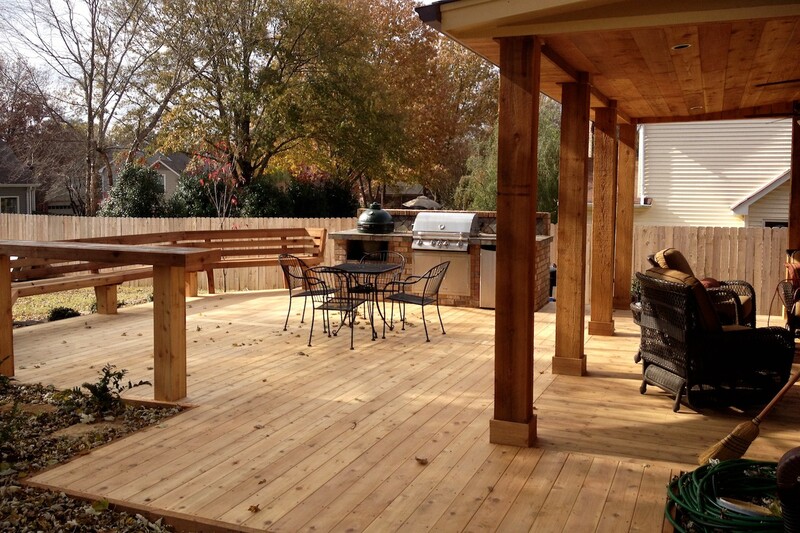 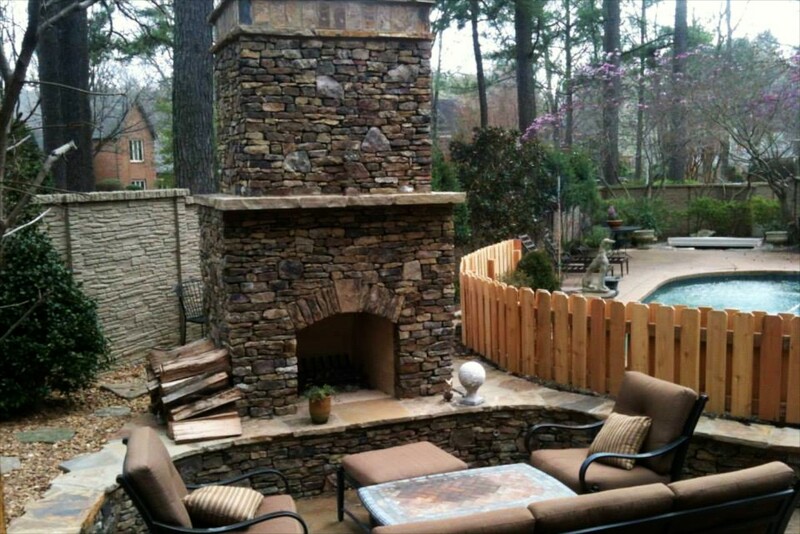 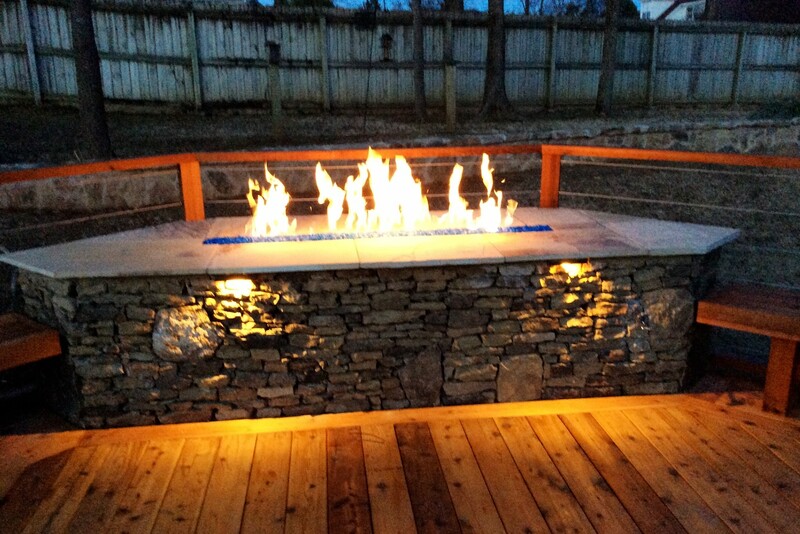 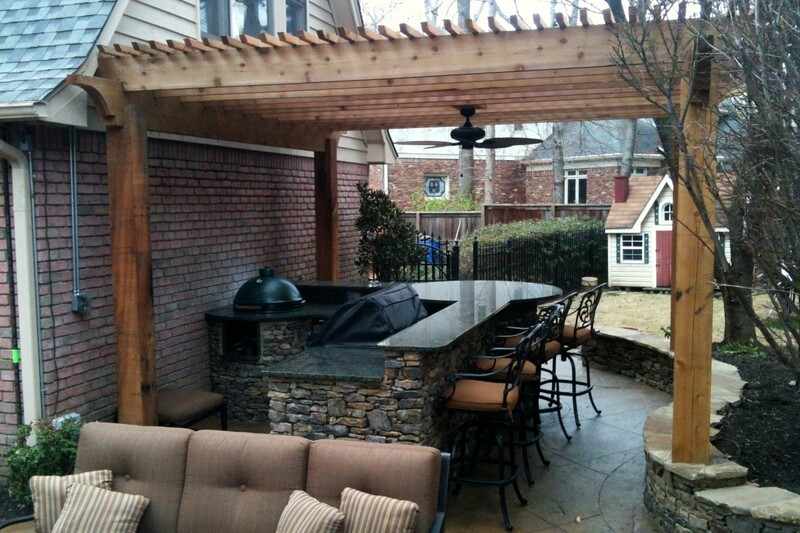 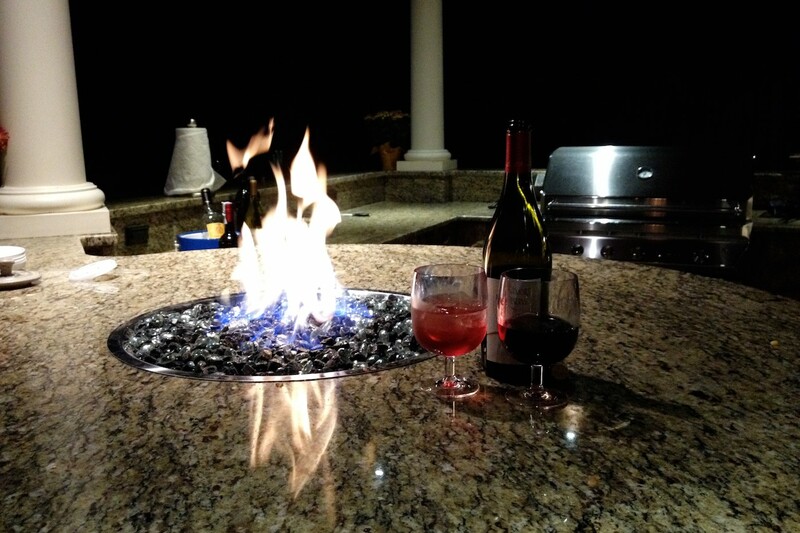 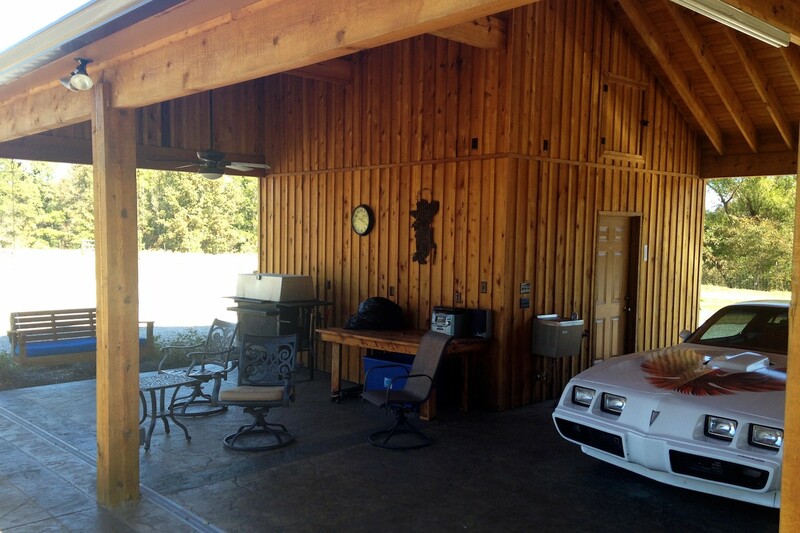 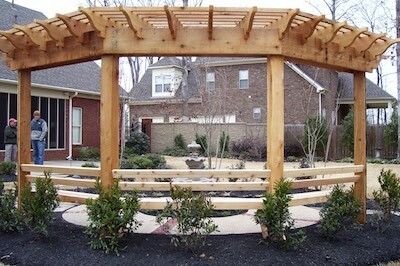 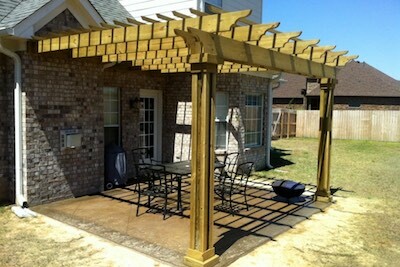 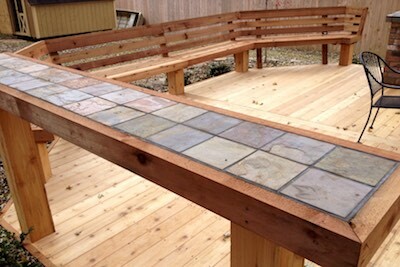 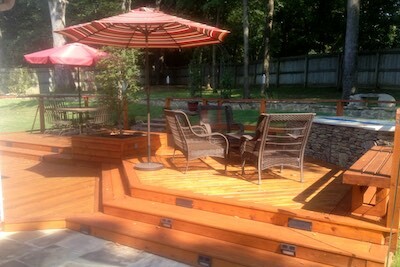 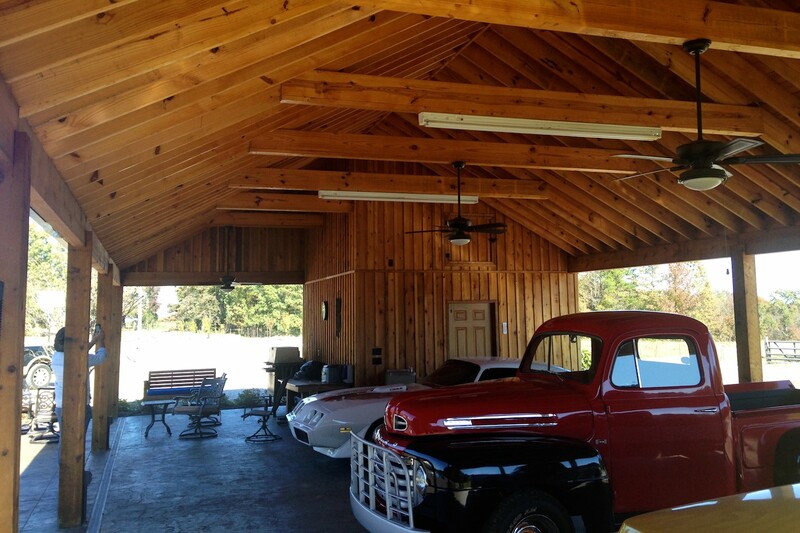 Specializing in custom wood work for patio pergolas, decks, screen porches, covered patios, fences and screening. 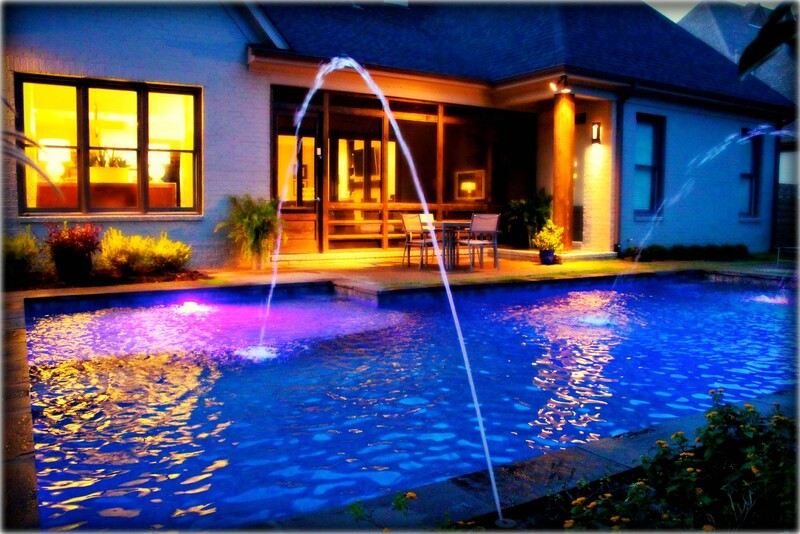 Landscape lighting brings your landscape to life at night while your irrigation system keeps your plants alive and well during the stresses of summer heat. 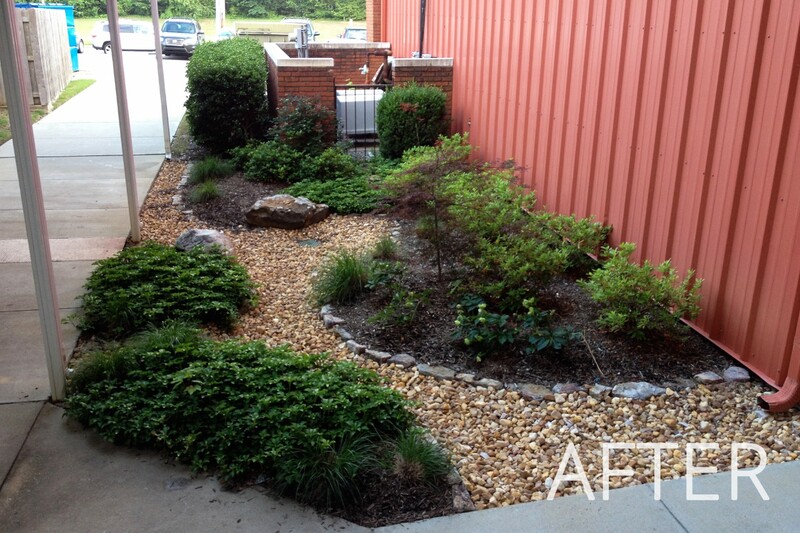 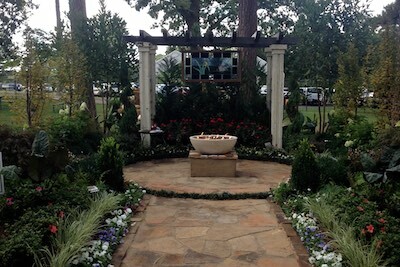 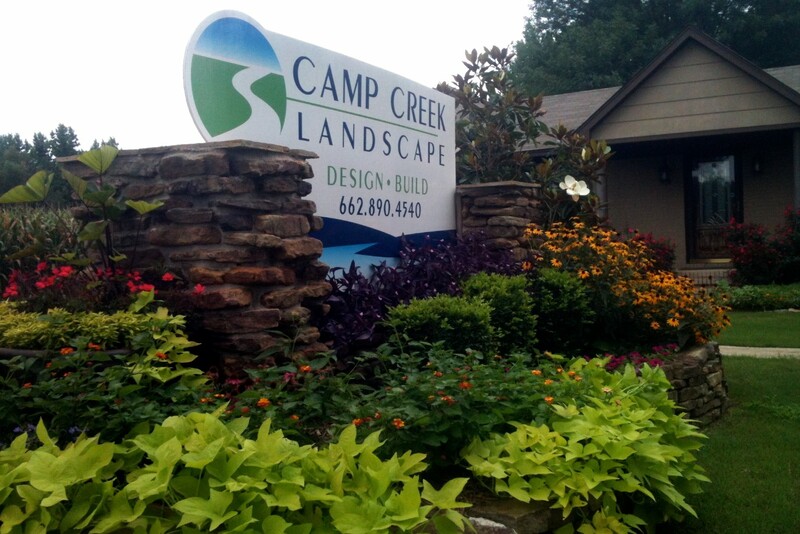 Camp Creek Landscape did a fabulous job! 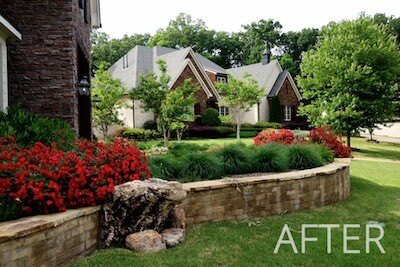 Thanks for making our "fixer upper" dream a reality! 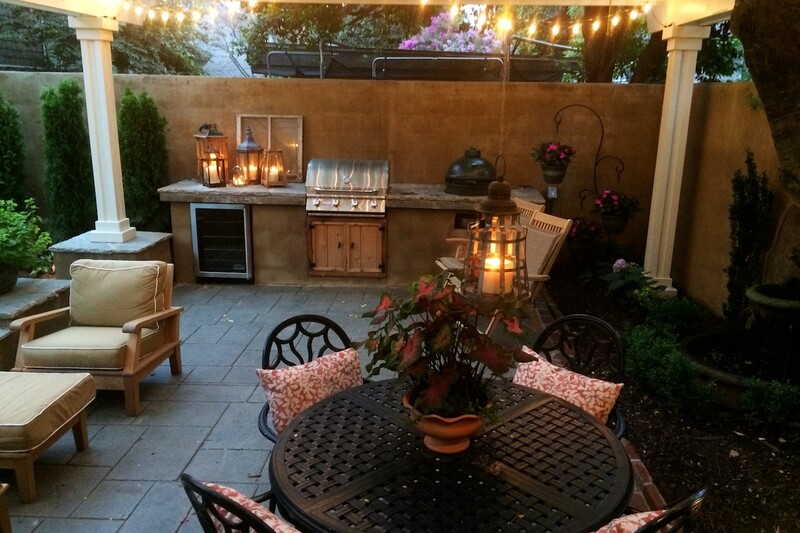 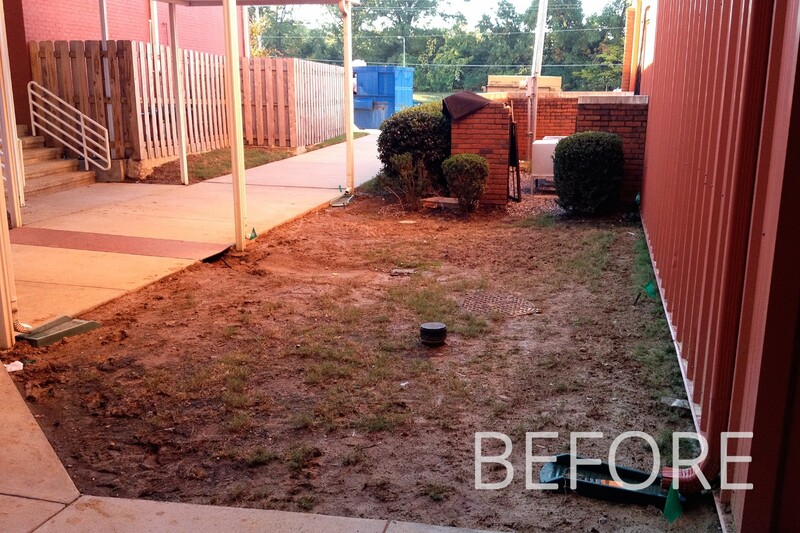 My husband almost walked away from purchasing this house because of the horrid backyard. 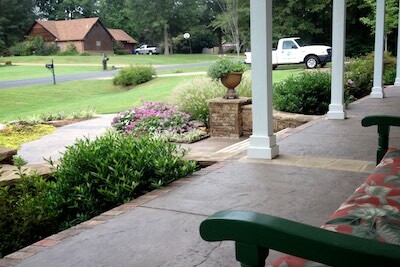 In fact, he told me no. 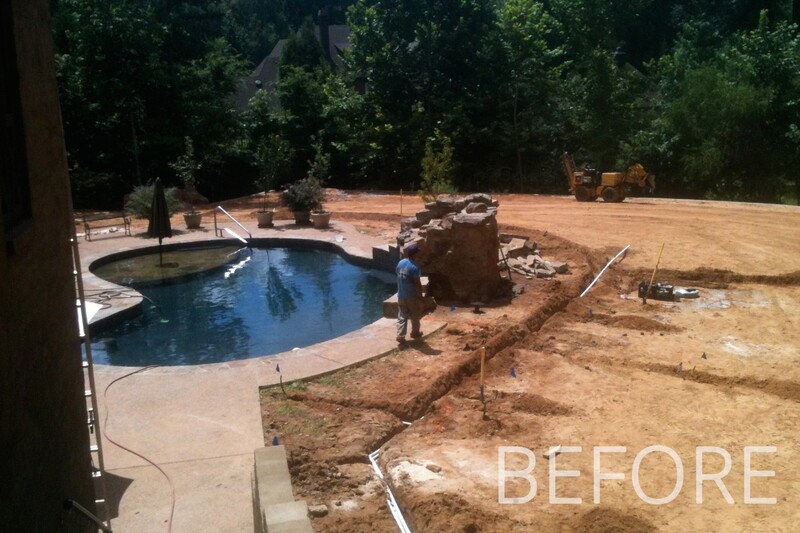 =) Thankful for his patience in what I could see back then and for you guys getting it done. 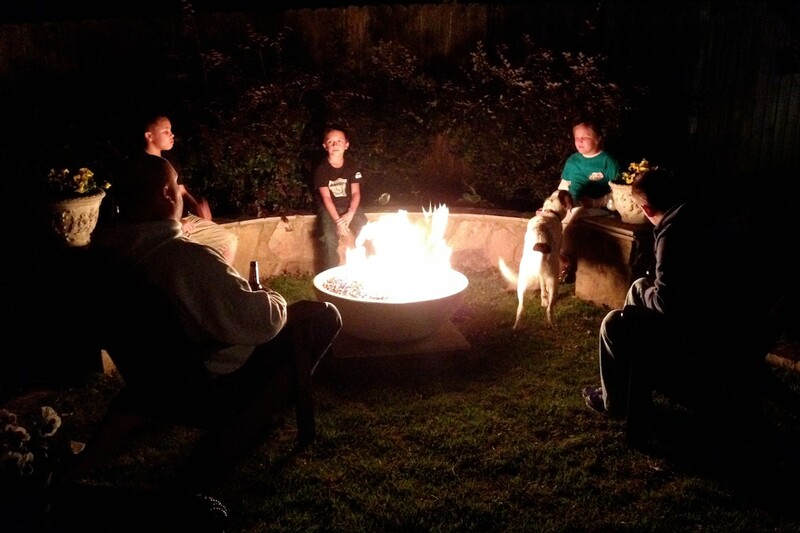 For the first time in years we have a backyard that is completely safe for the boys. It's also one we don't mind having people come over and enjoying with us. 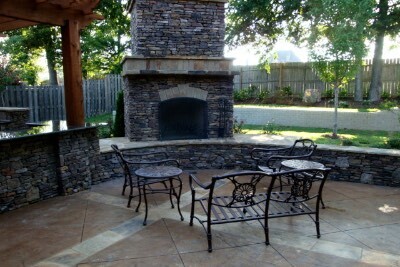 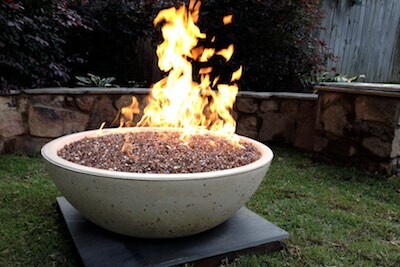 We also can't wait to use that fire pit this fall!! 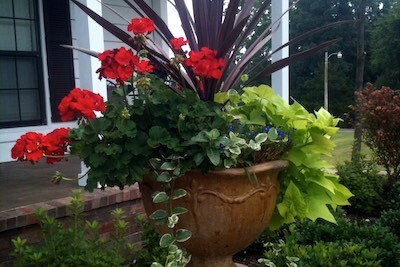 Just a quick note to tell you that HAL AND I LOVE EVERYTHING. 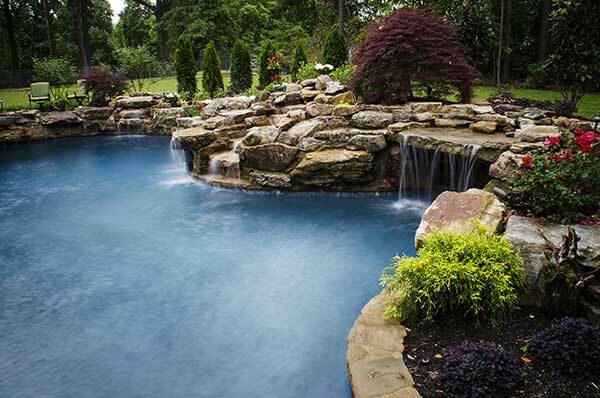 We walk from the back to the front and back again . . just looking, smiling and admiring. I guess the job is almost complete and every single detail is beyond what we were hoping for. 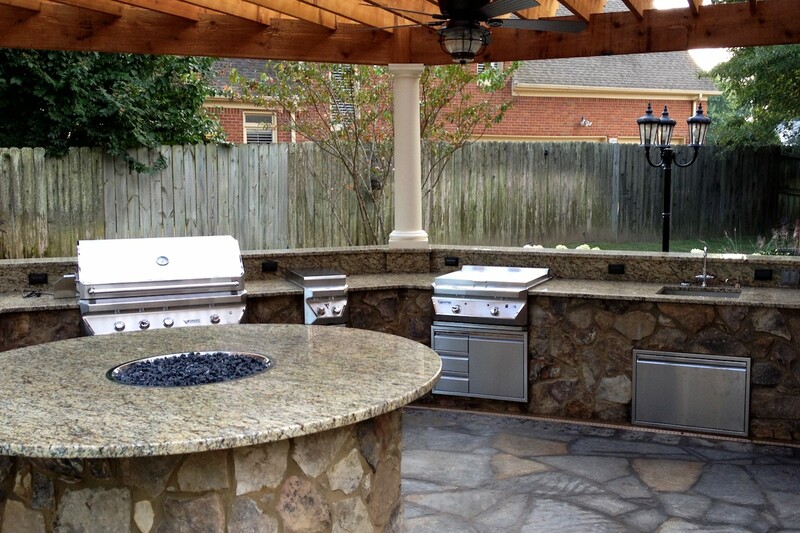 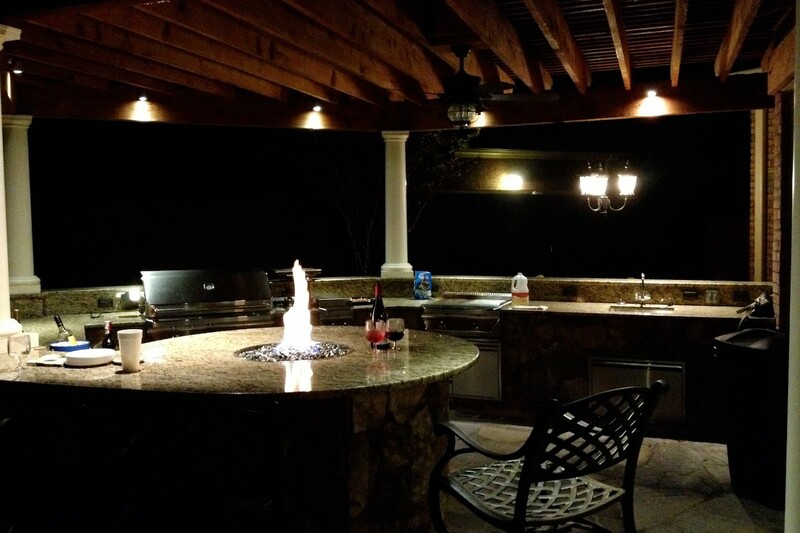 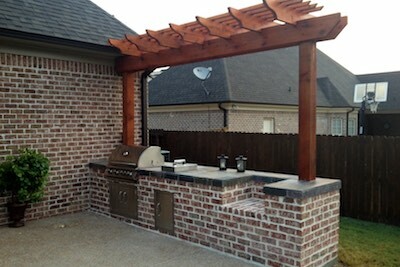 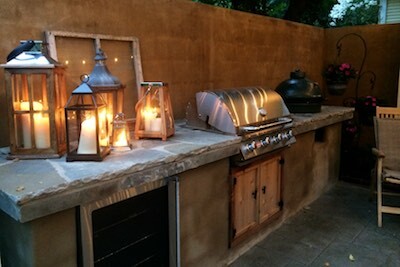 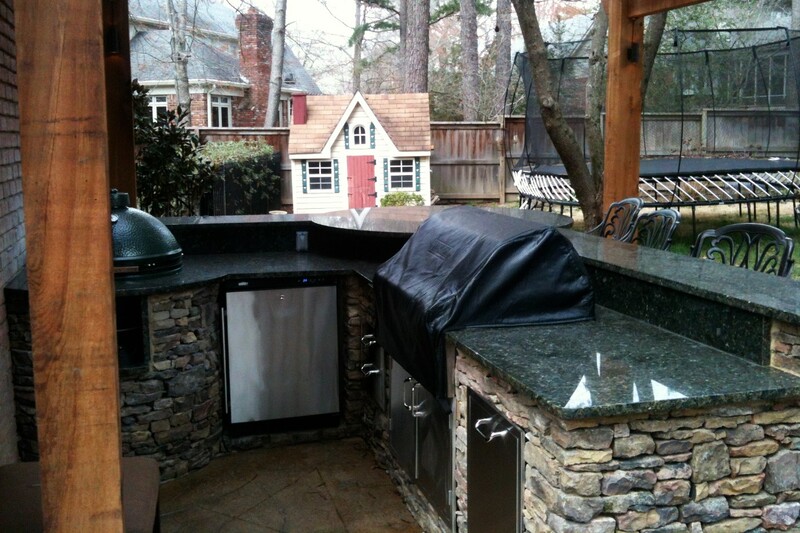 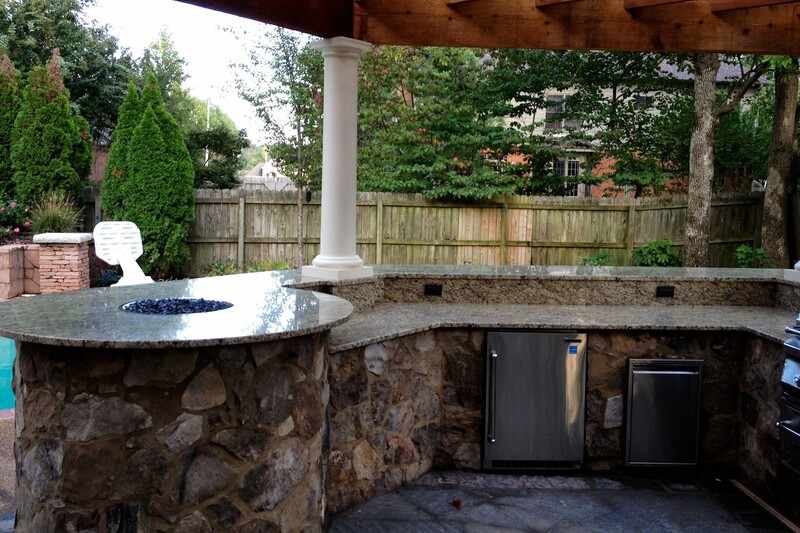 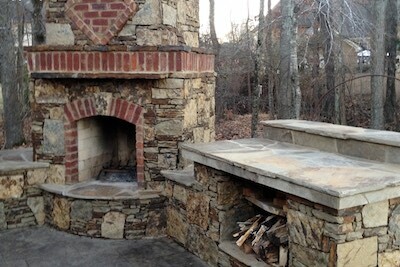 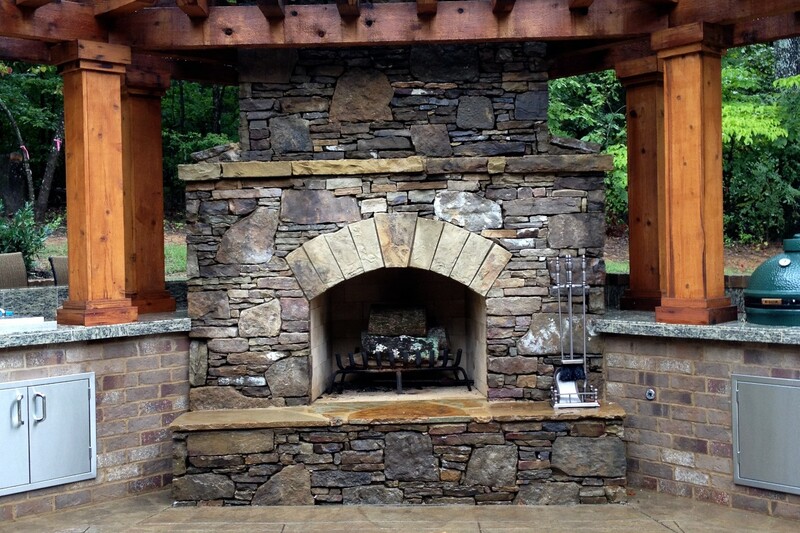 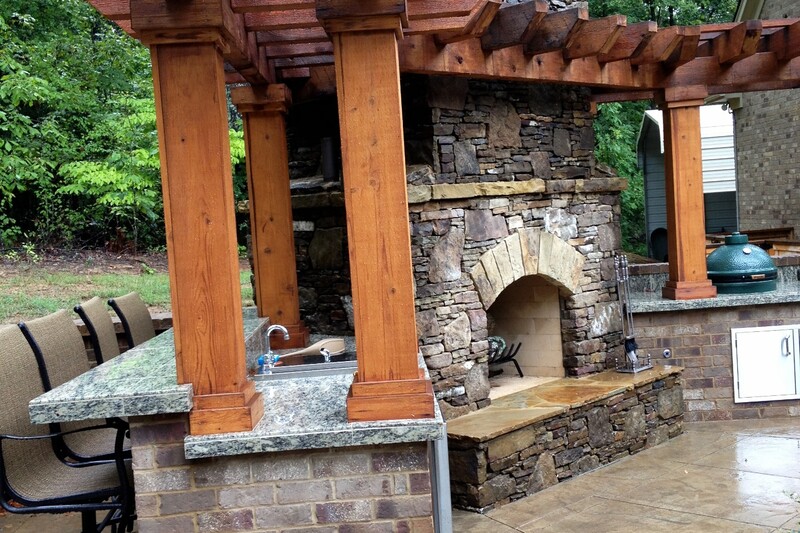 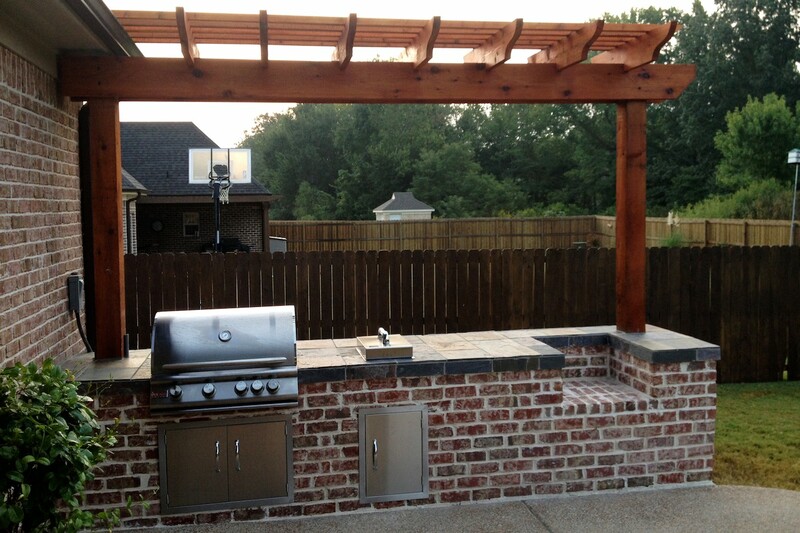 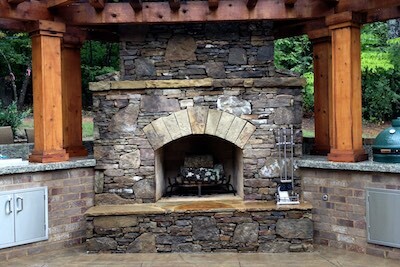 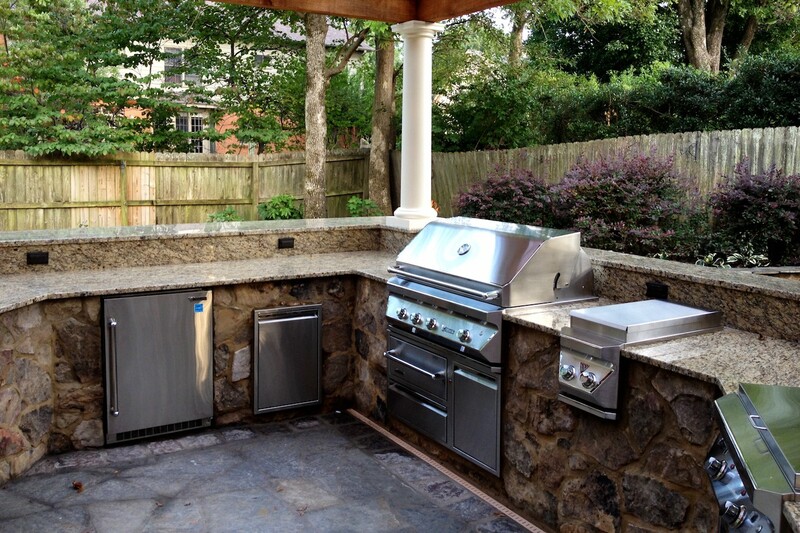 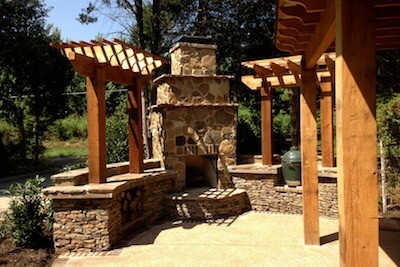 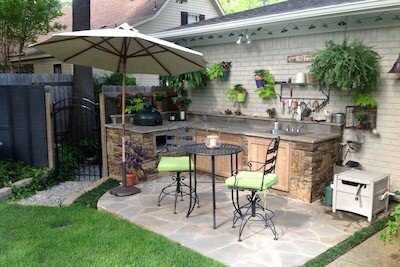 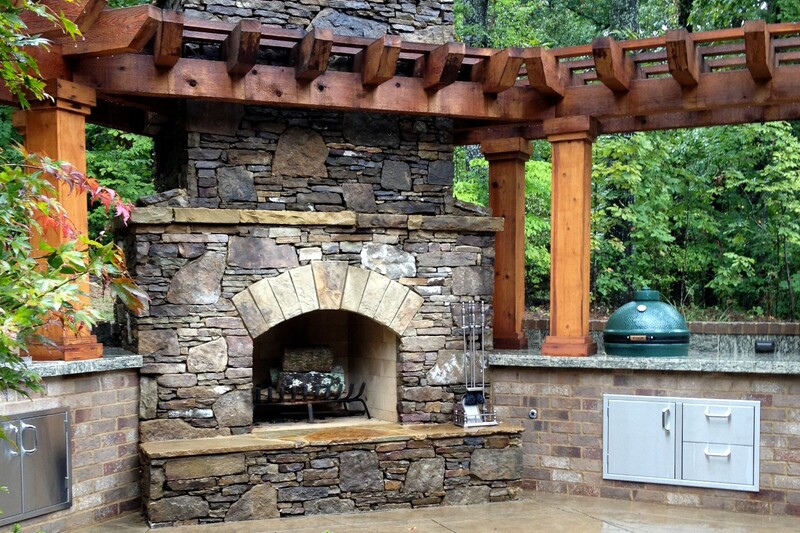 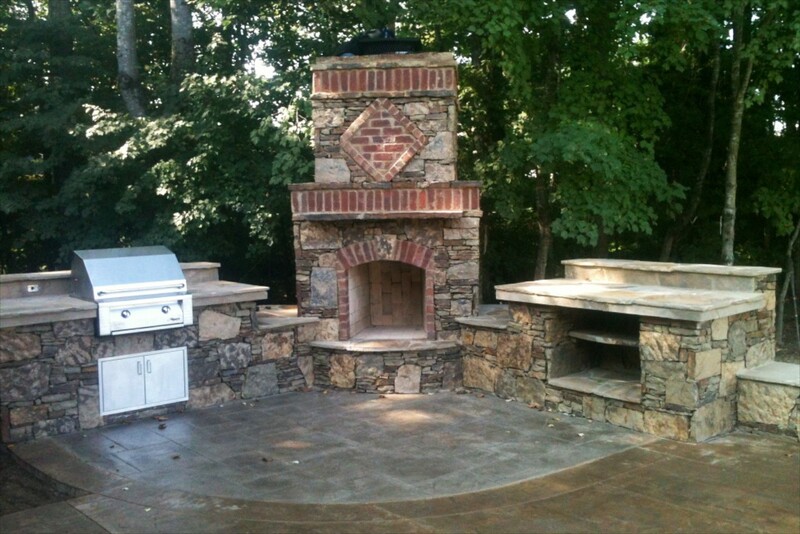 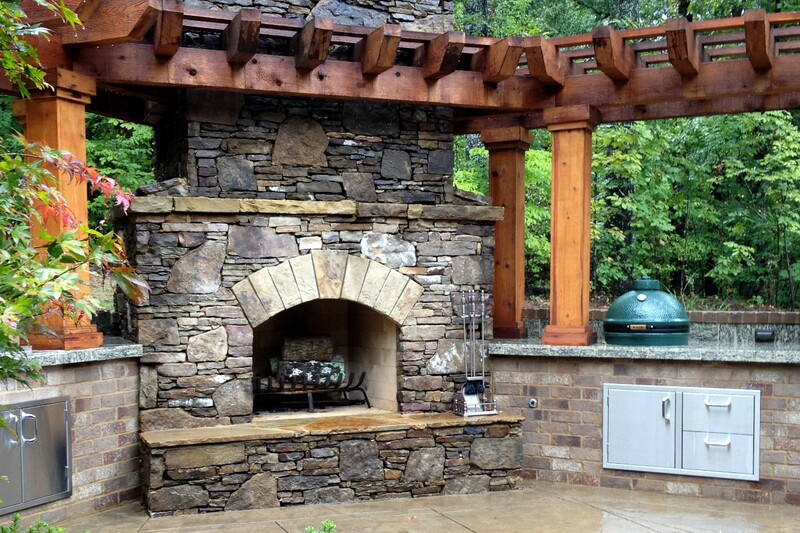 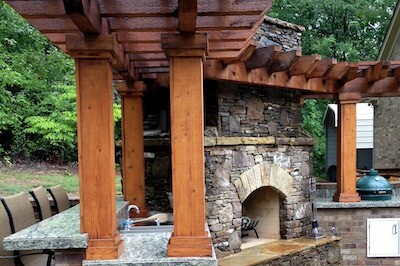 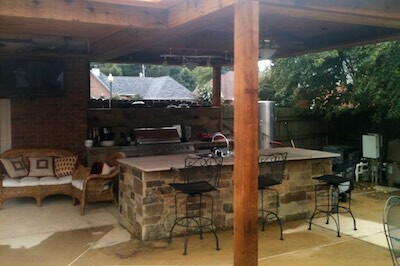 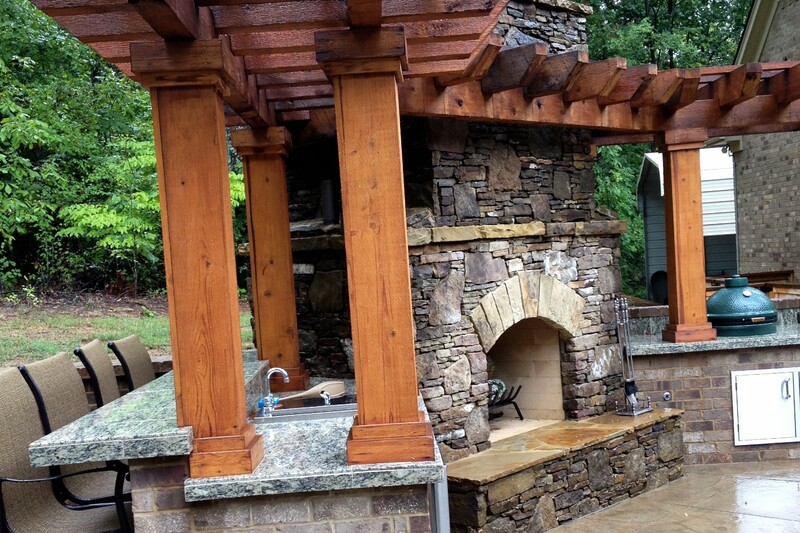 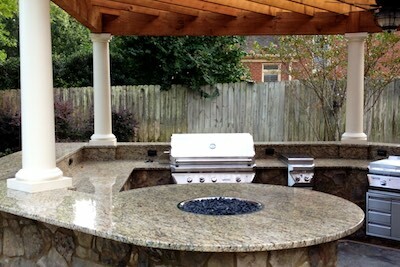 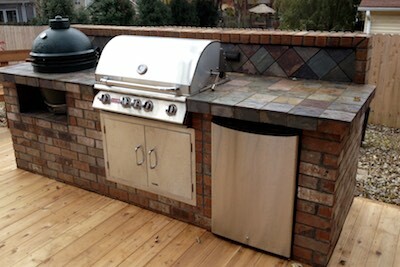 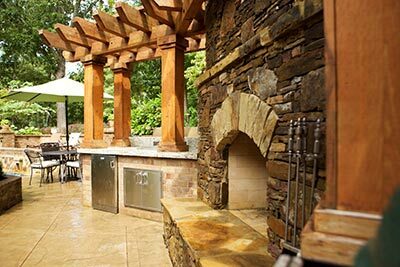 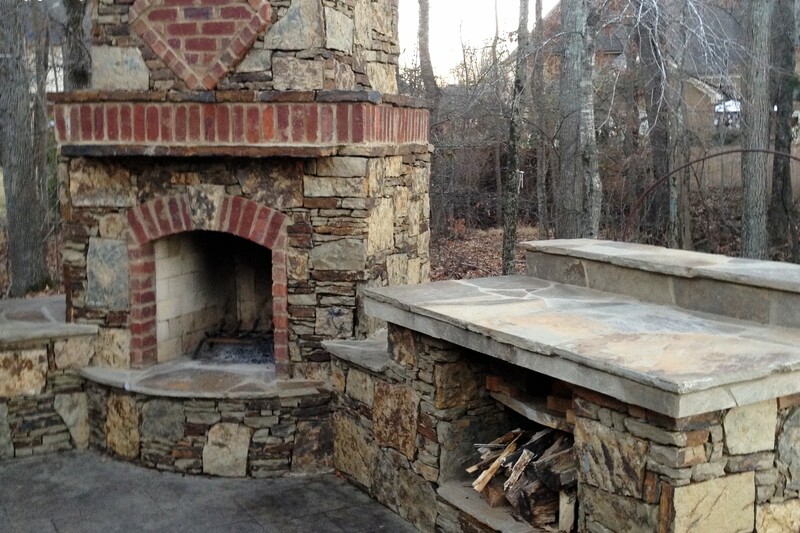 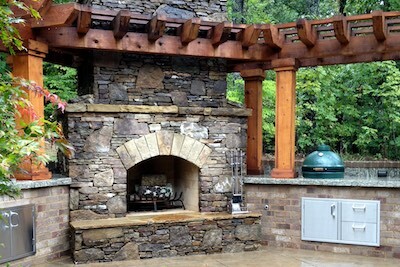 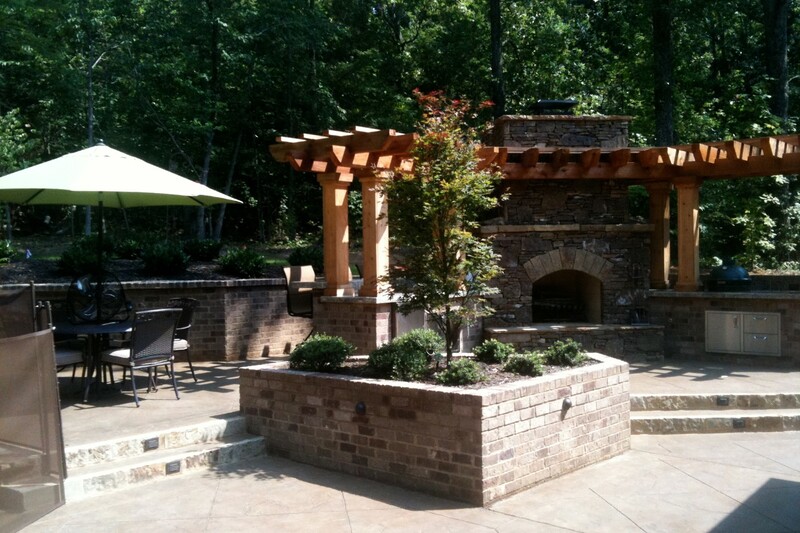 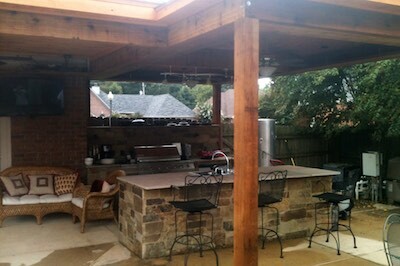 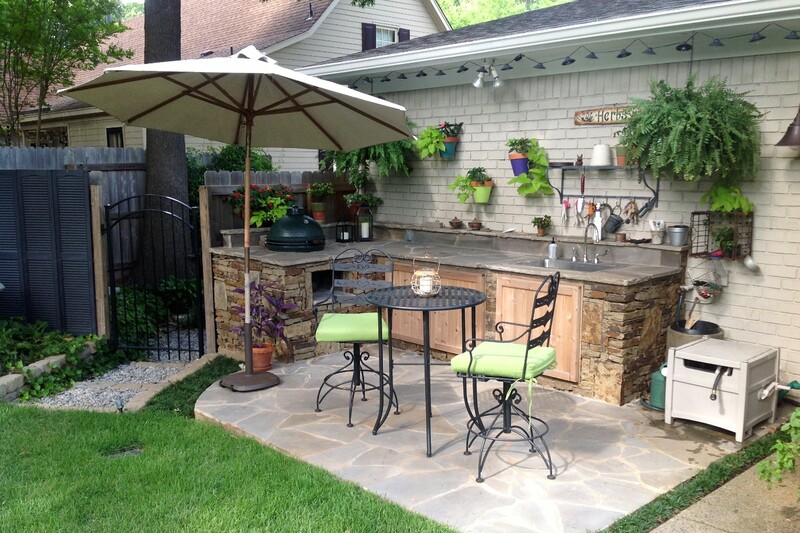 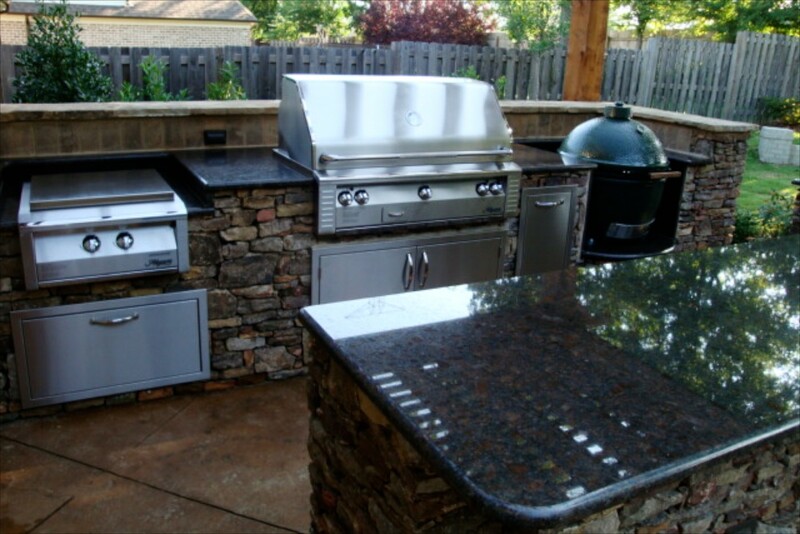 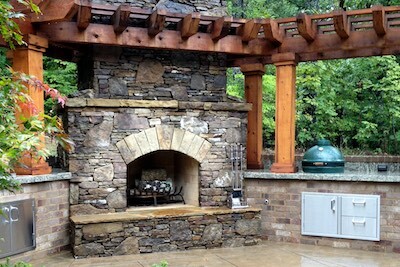 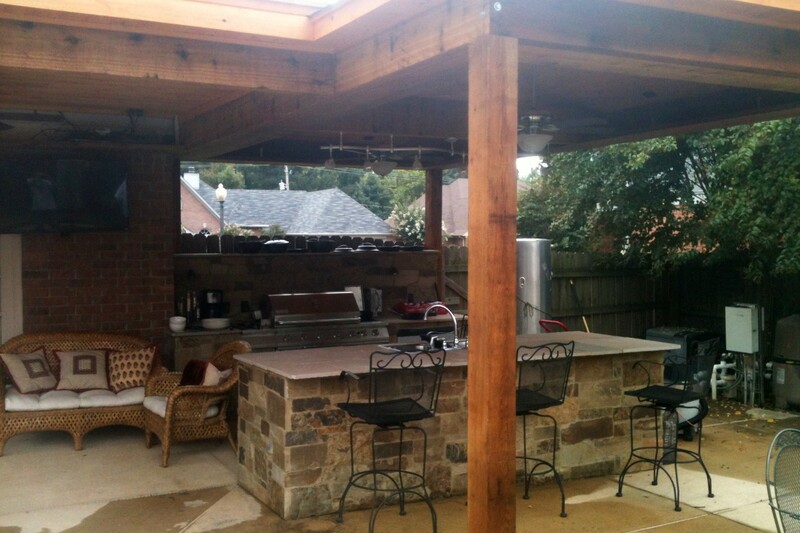 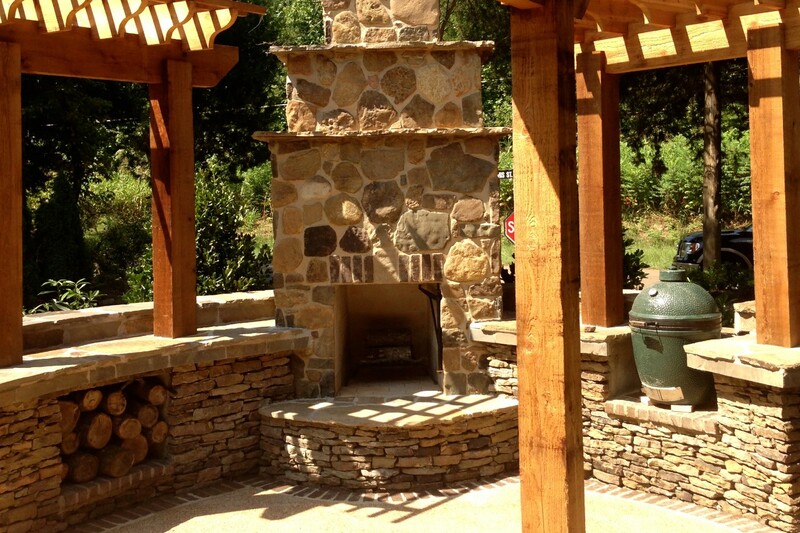 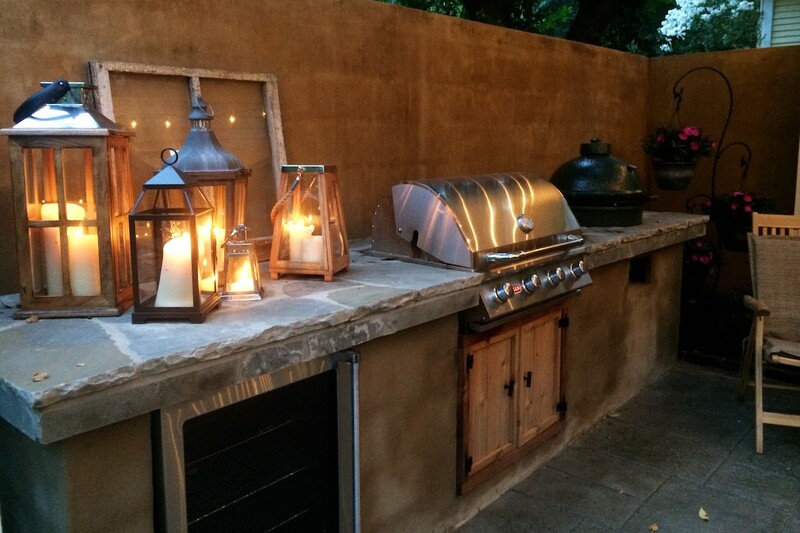 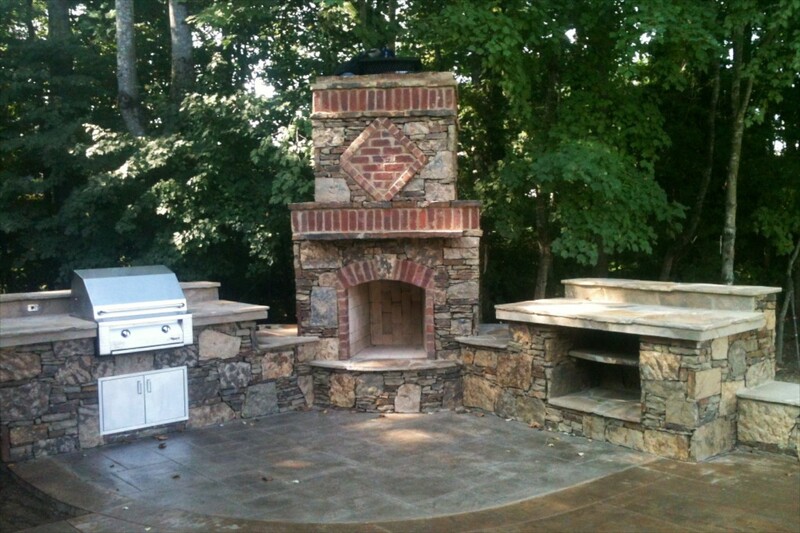 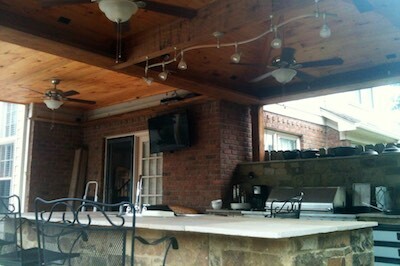 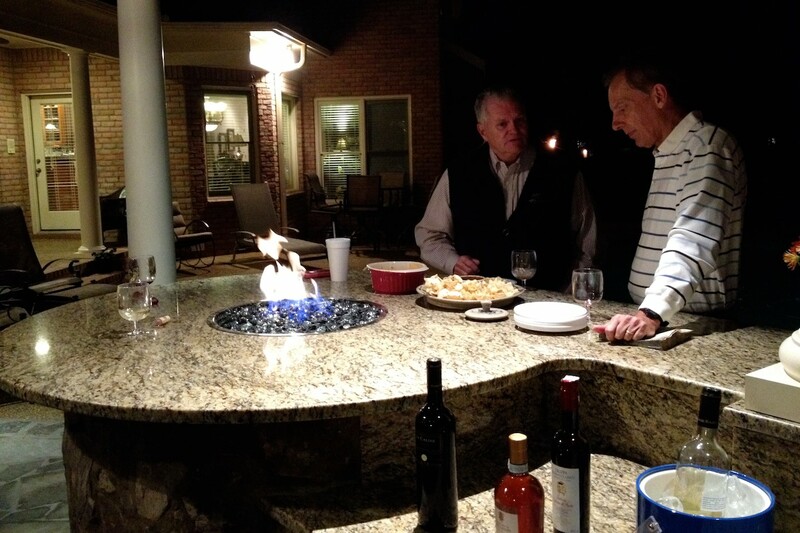 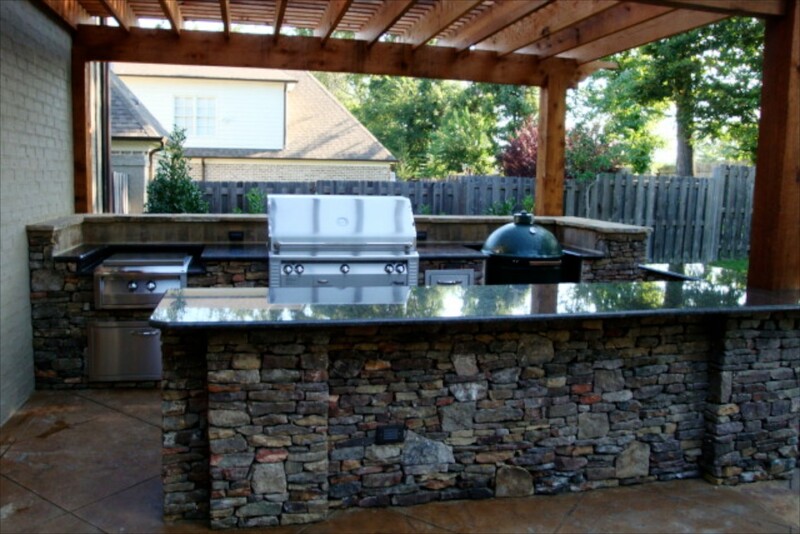 The construction of our outdoor kitchen was an exceptional experience and totally turnkey, which was our number one request. Camp Creek Landscape completely exceeded our expectations! 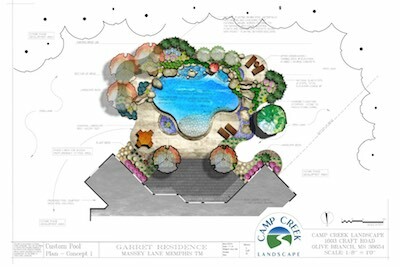 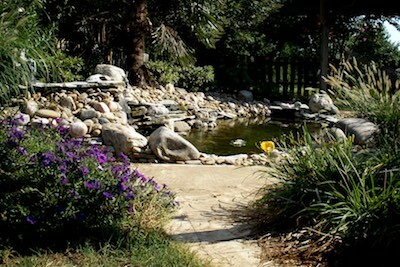 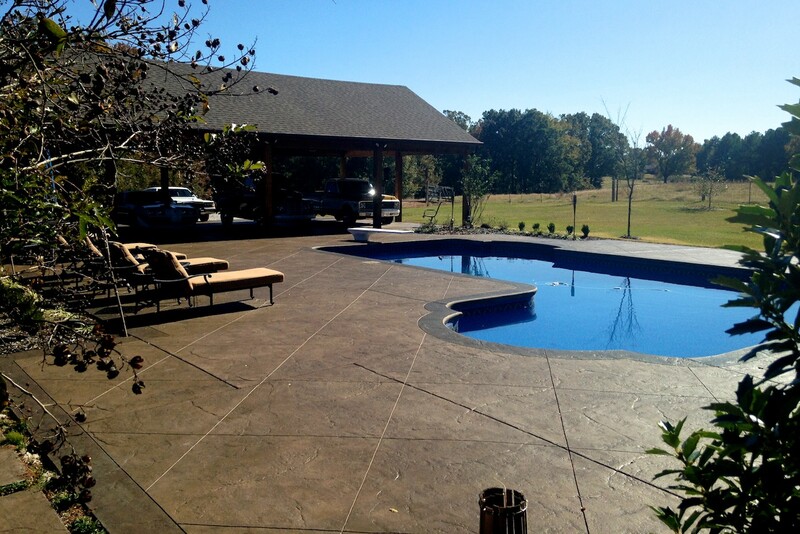 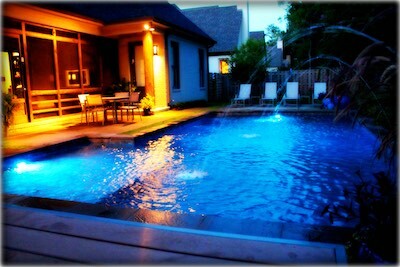 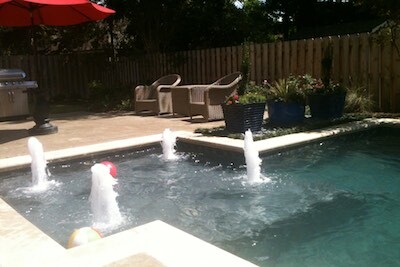 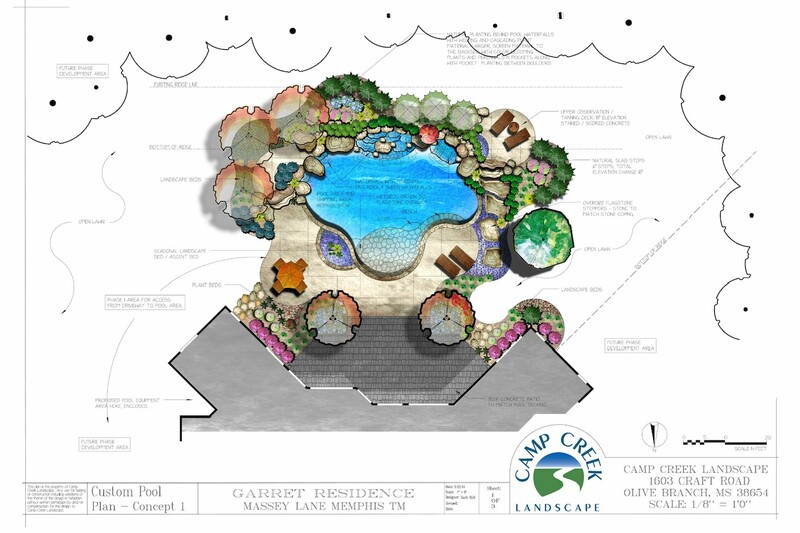 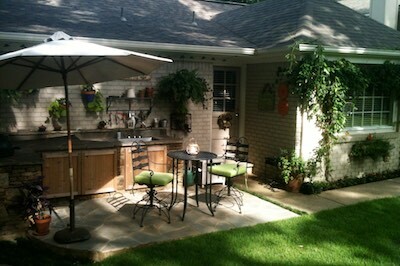 Camp Creek Landscape designed and built our beautiful pool and outdoor kitchen. 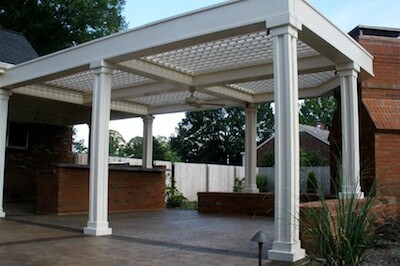 The design exceeded our expectations and the installation was very professional! 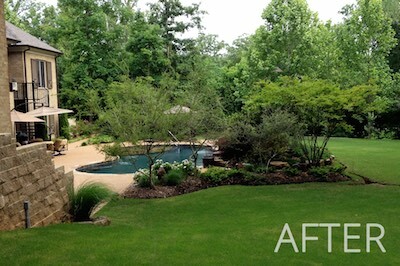 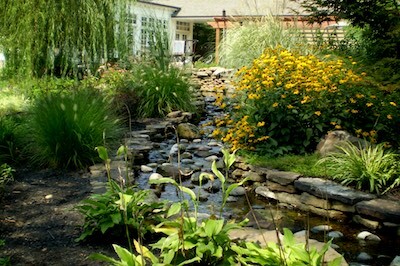 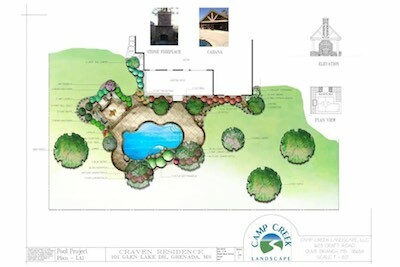 Camp Creek Landscape was great to work with and I highly recommend them for your next project. Excellent workmanship! 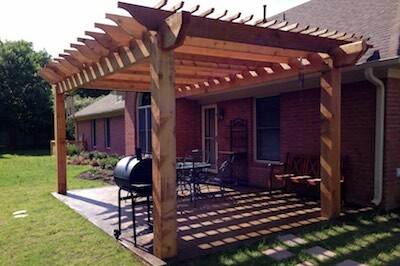 Designed and built a beautiful stamped, scored and stained outside concrete walkway and front porch. 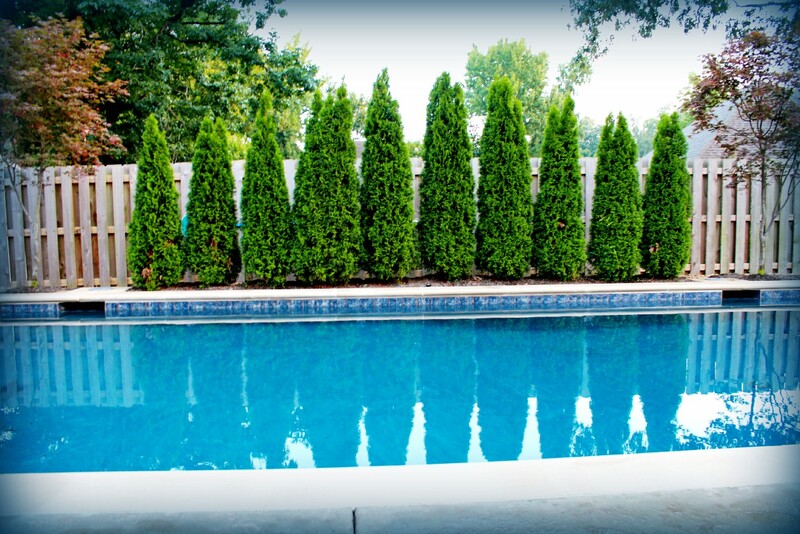 I was very pleased with the whole experience.... they suggested different plants/shrubs, fencing, borders etc... very helpful in trying to keep the costs within what I had budgeted. 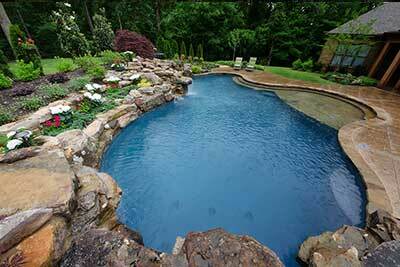 Definitely would recommend!! 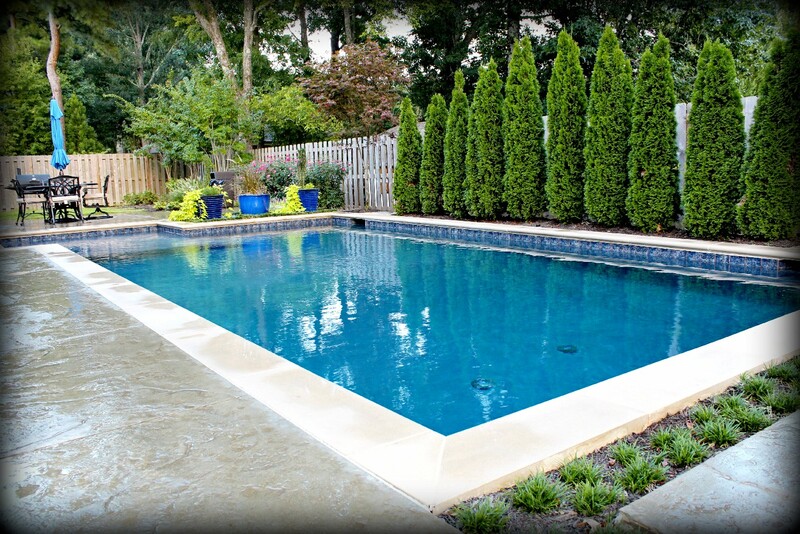 Superb quality, professional staff and great price… I am fully satisfied. 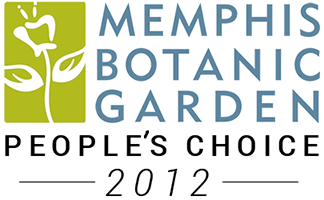 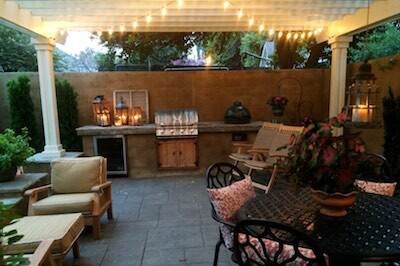 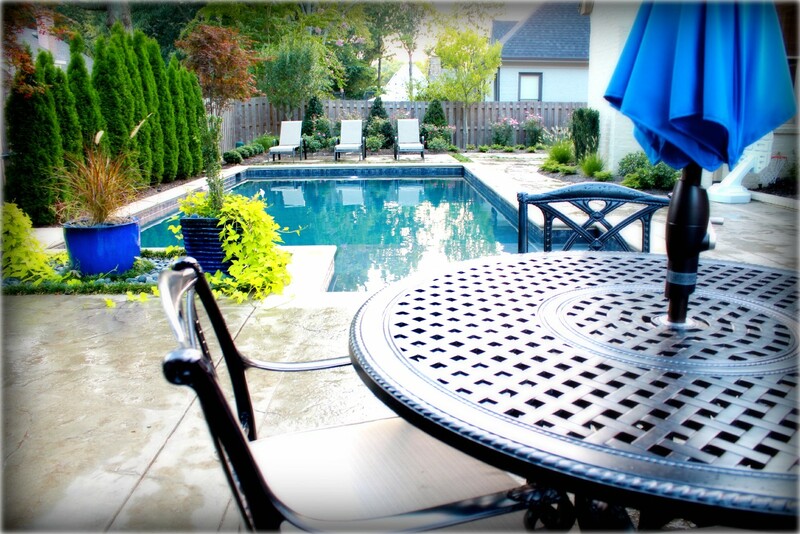 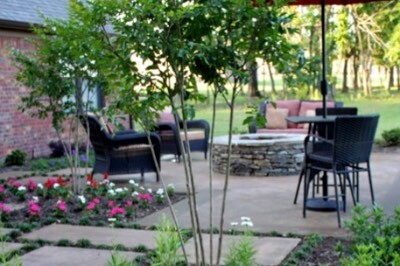 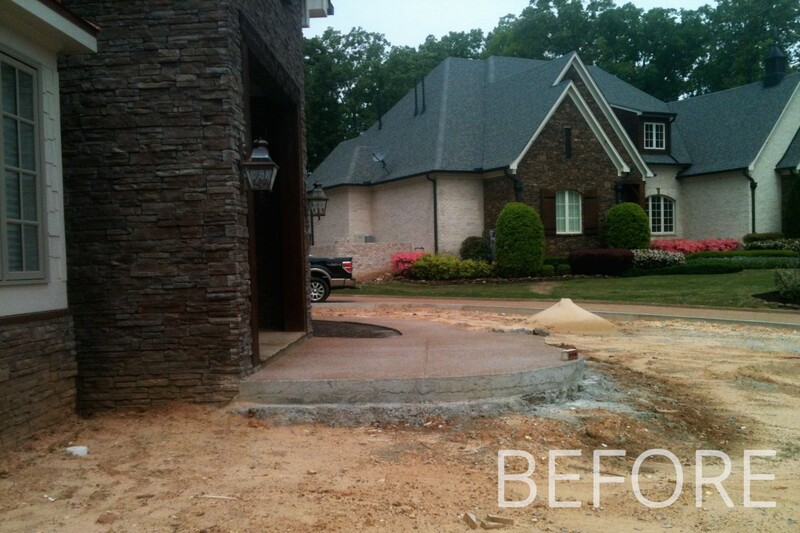 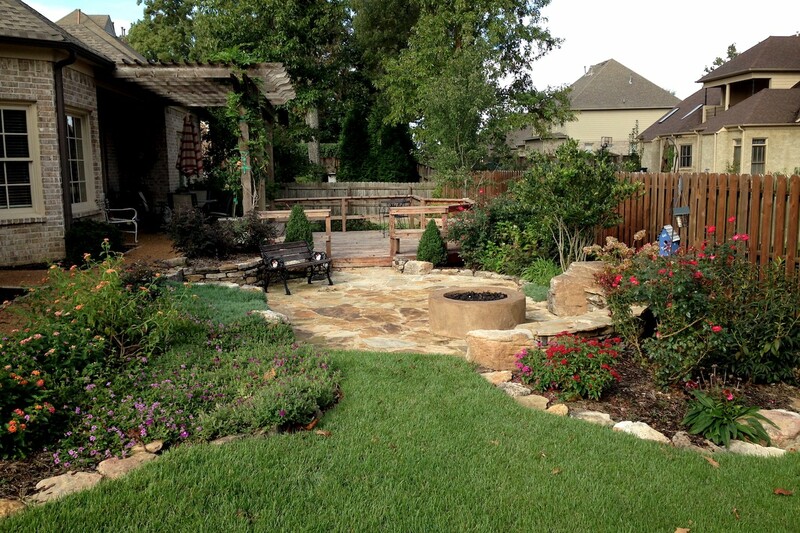 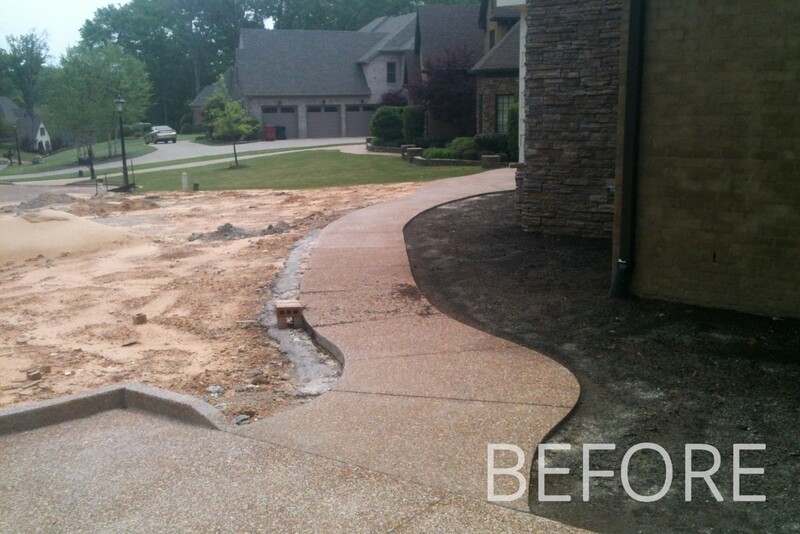 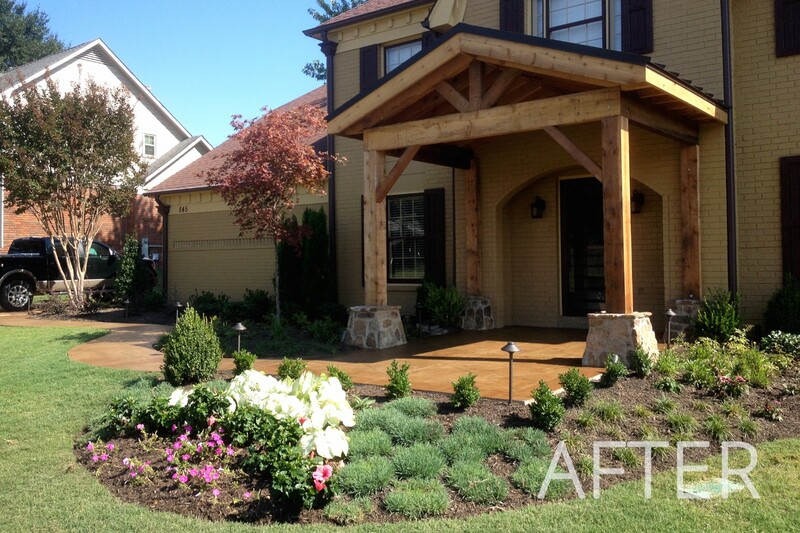 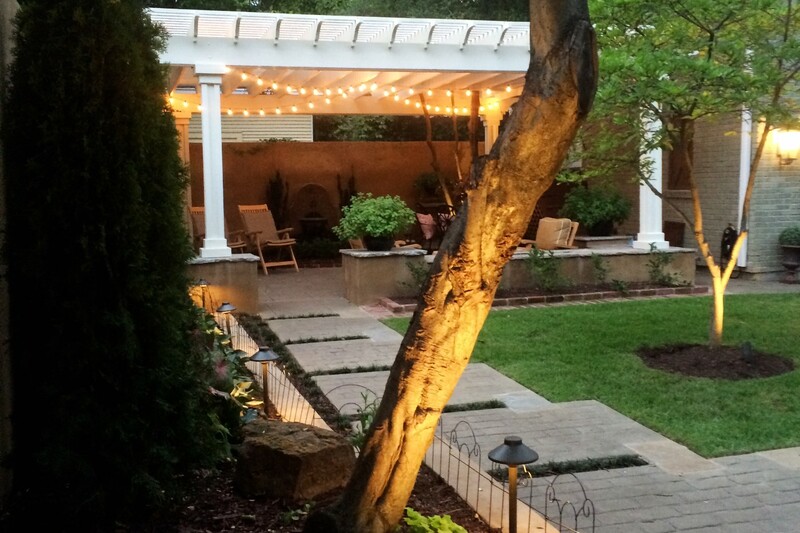 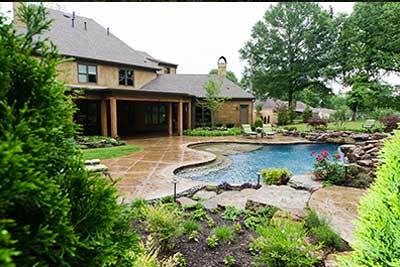 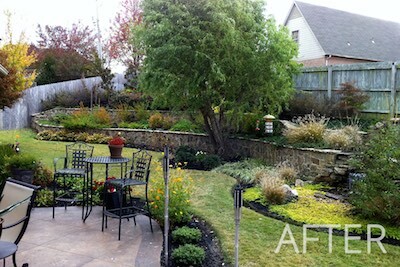 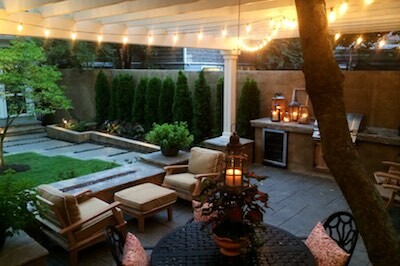 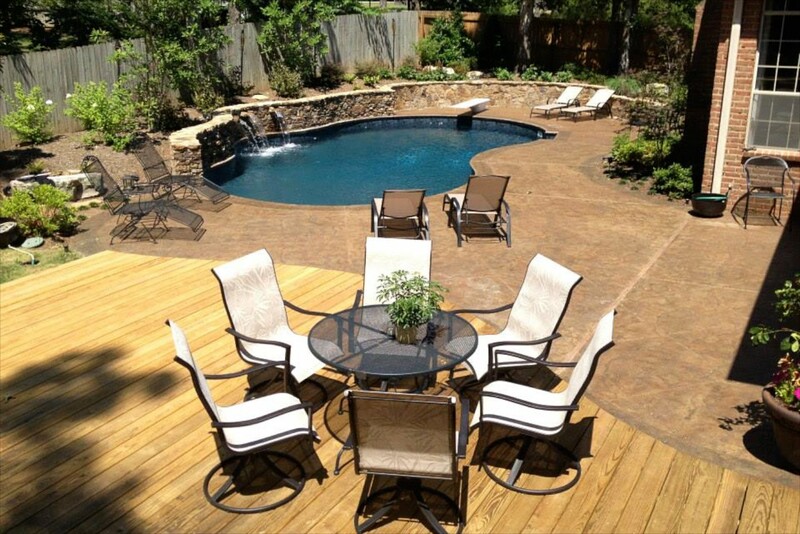 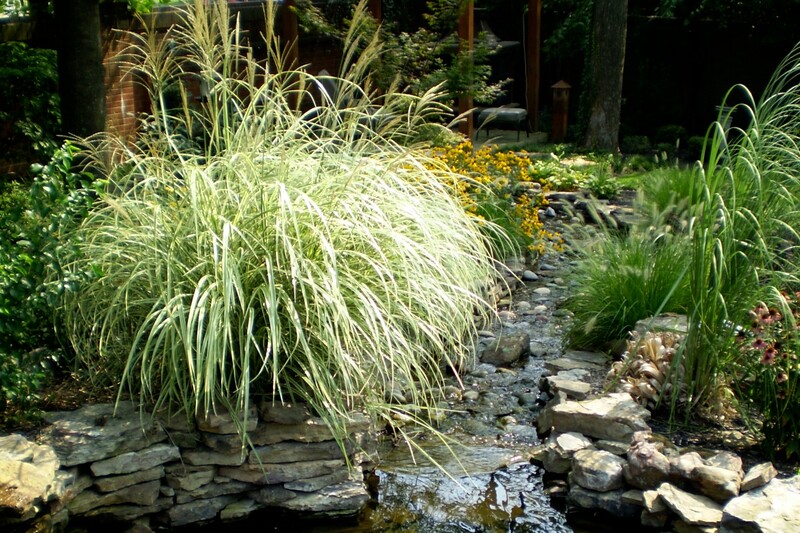 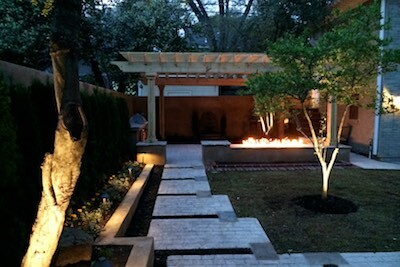 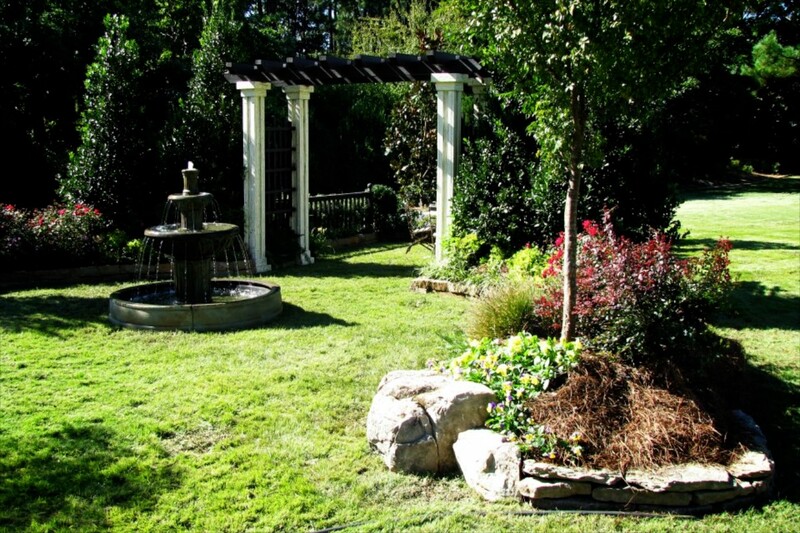 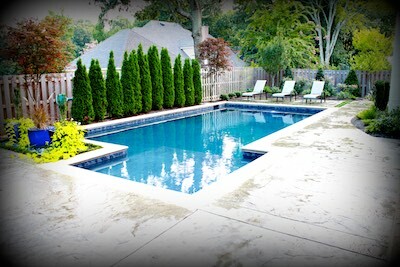 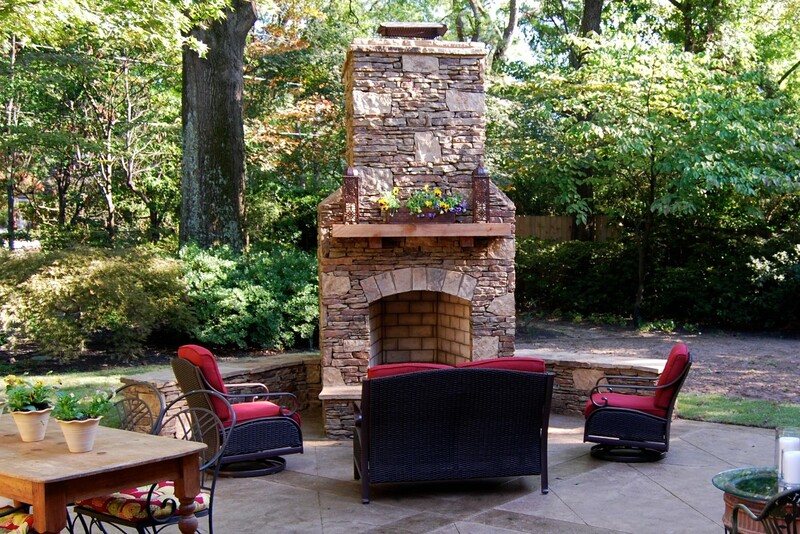 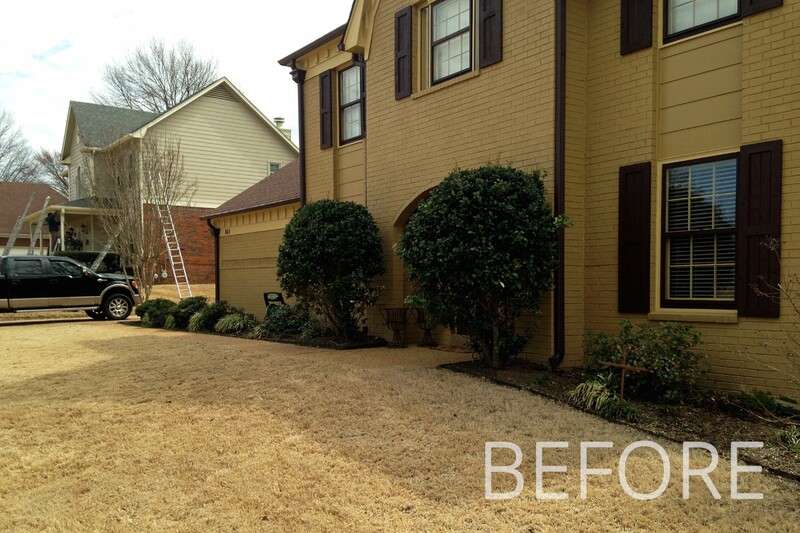 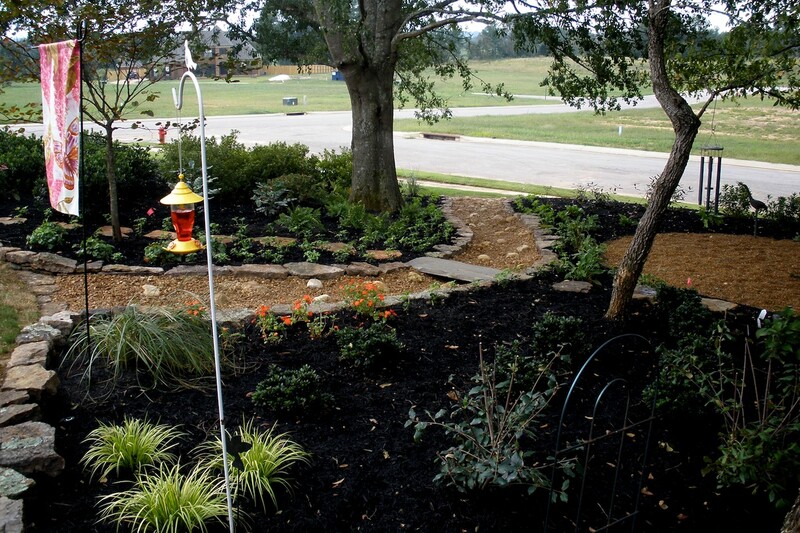 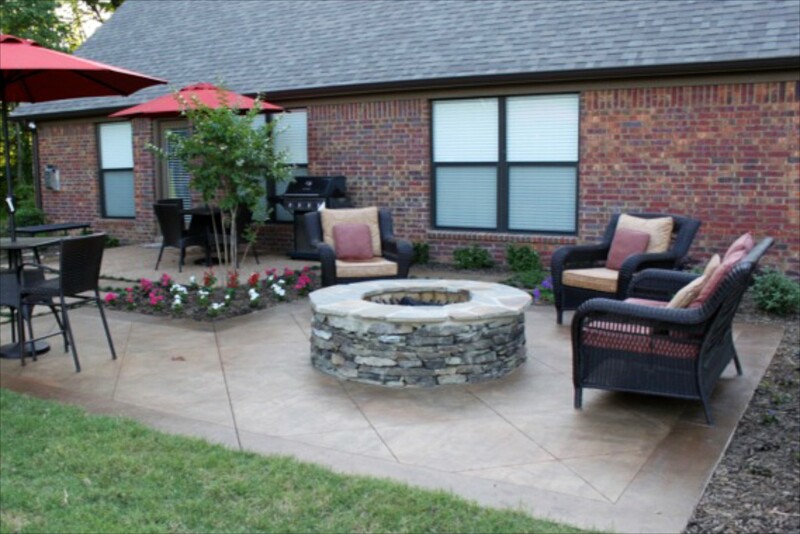 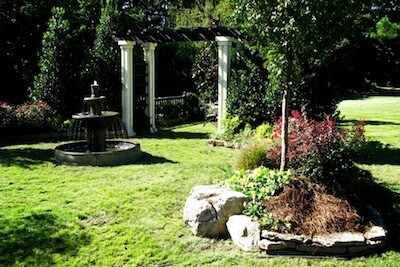 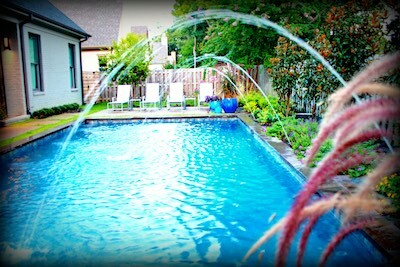 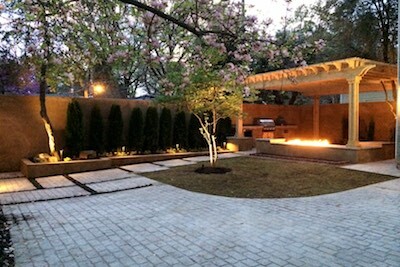 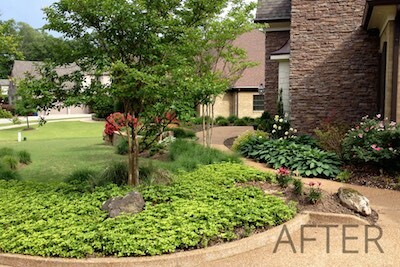 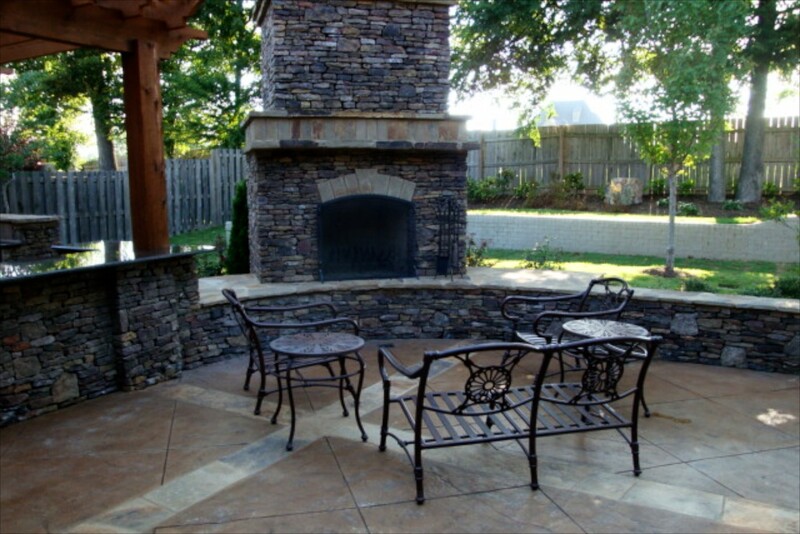 Provided great follow-up and designed the entire patio and backyard landscaping project well. The work exceeded my expectations! 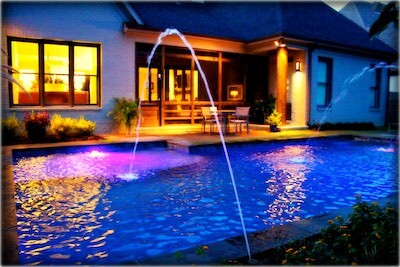 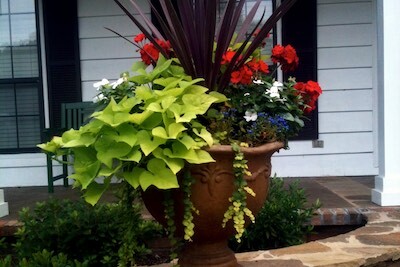 Not only is it beautiful, but was done with regard to color, form and function. All the suggestions made by the designer were perfect, including placing stone by the side of the house to eliminate mud. I am a completely satisfied customer and would use their services again. 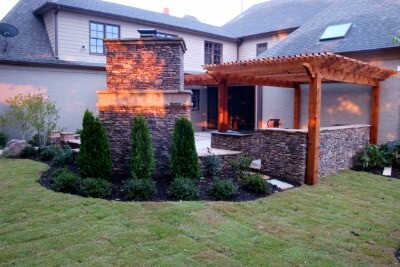 Outstanding professionalism. 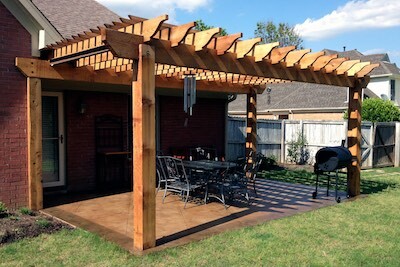 Even though the install date was delayed due to weather and scheduling, the owner stayed in touch on a regular basis just to give a timeline on the start date. Cleanup after the job was completed was exceptional. 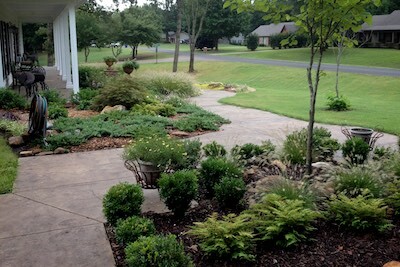 I would recommend this company to anyone looking for landscaping work. 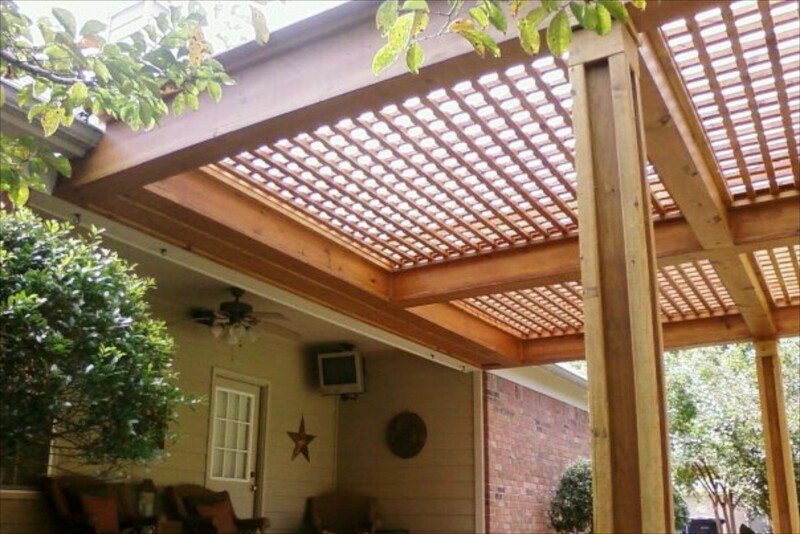 5 STARS - Any time it would rain our backyard would hold water for days which meant our two little children and dog couldn't play outside. We reached out to Camp Creek Landscape and they were there the next day. 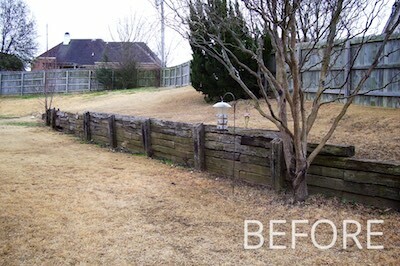 The result, a great backyard that drains immediately. My children can now go out and play! 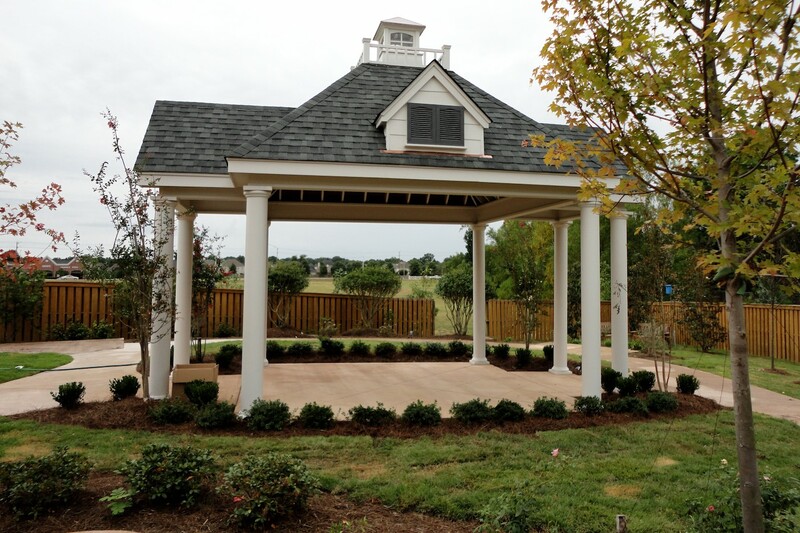 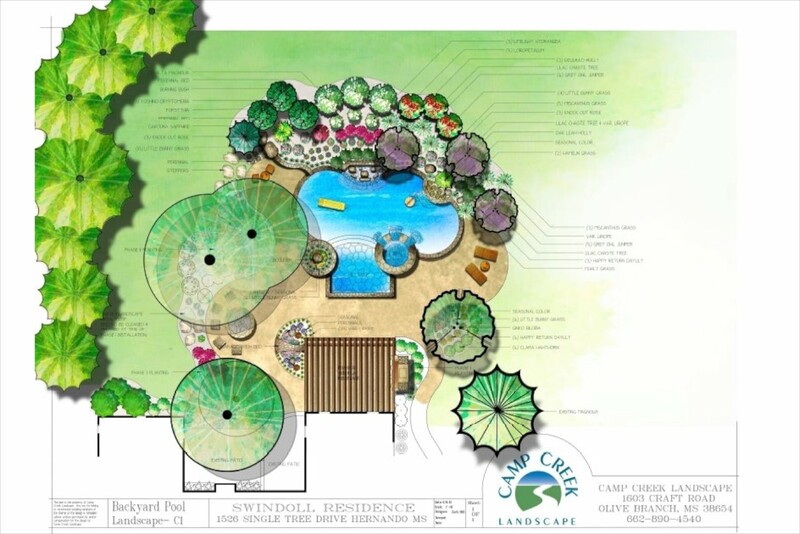 At Camp Creek Landscape, our passion for design is fueled each time one of our client's smile as they enjoy something we had a hand in creating with them. 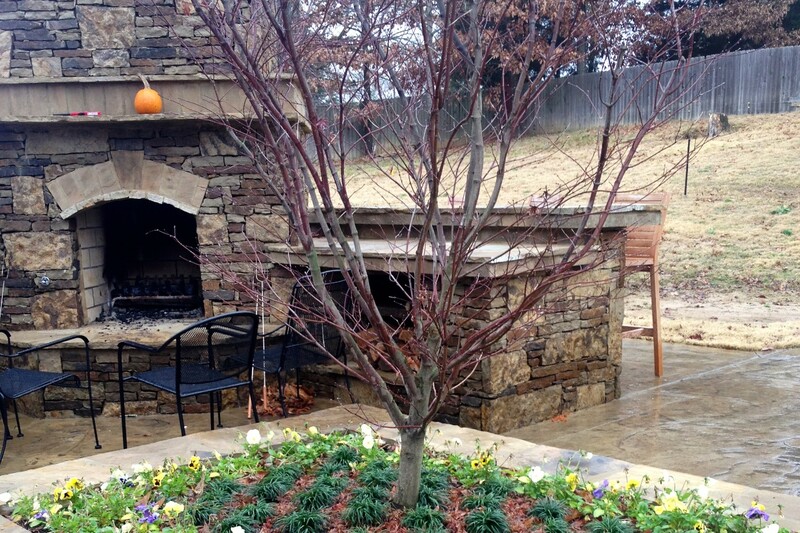 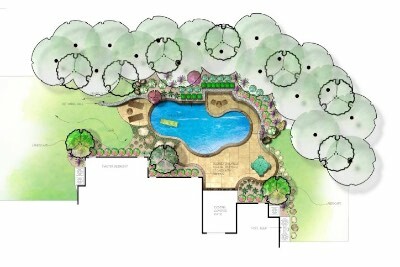 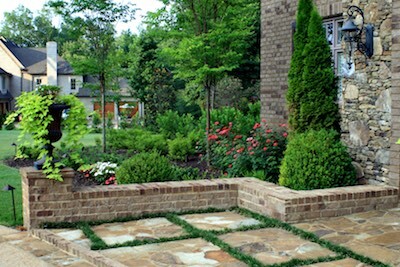 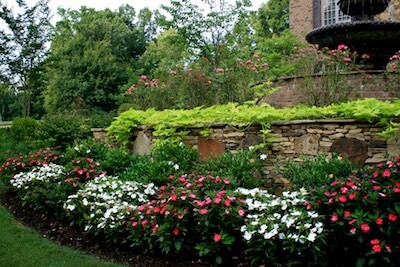 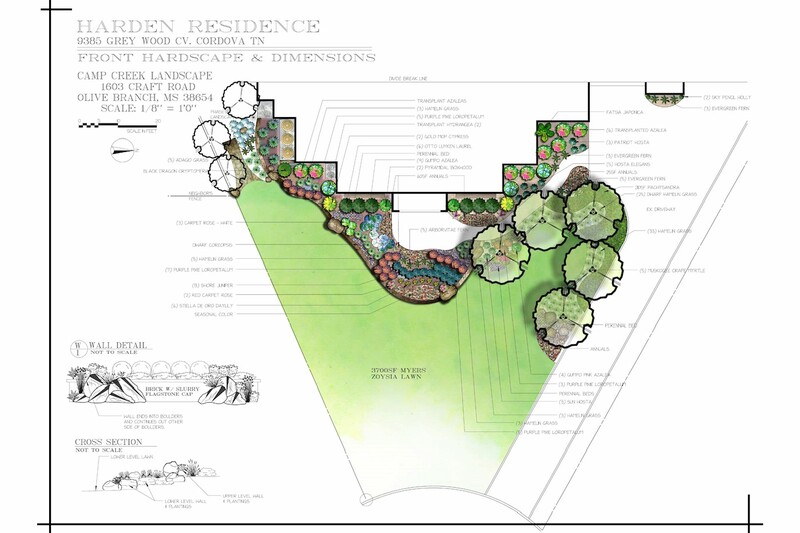 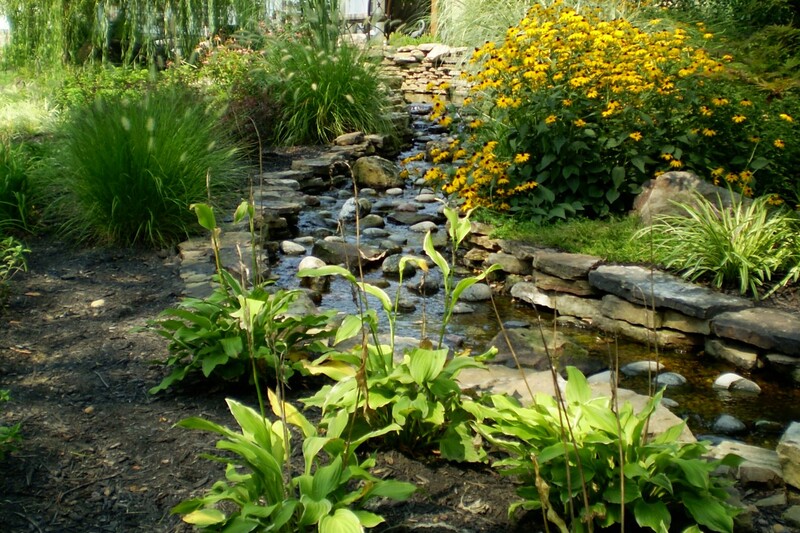 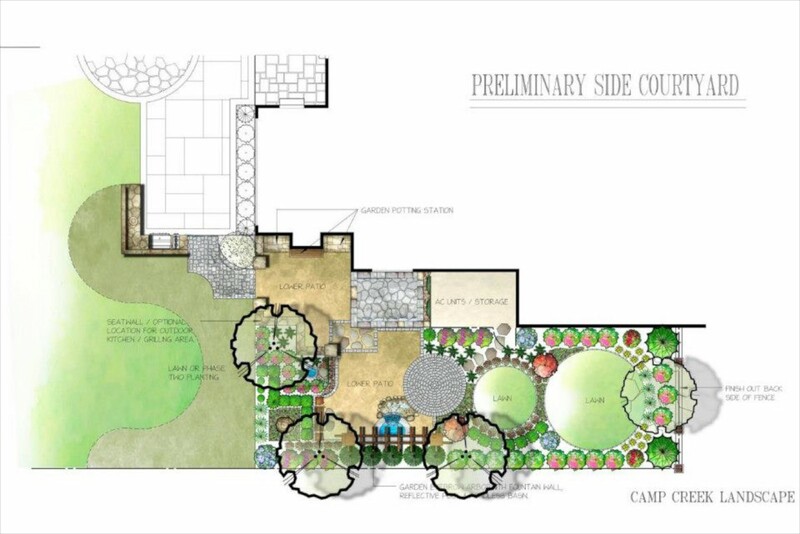 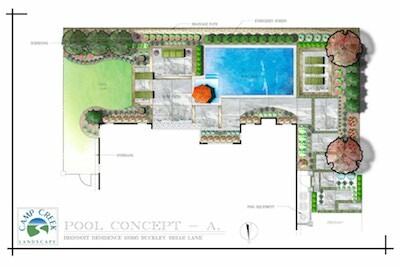 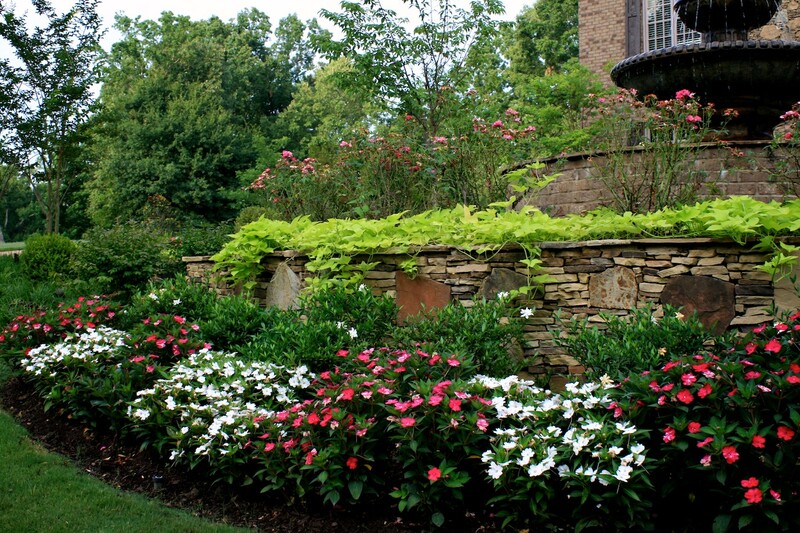 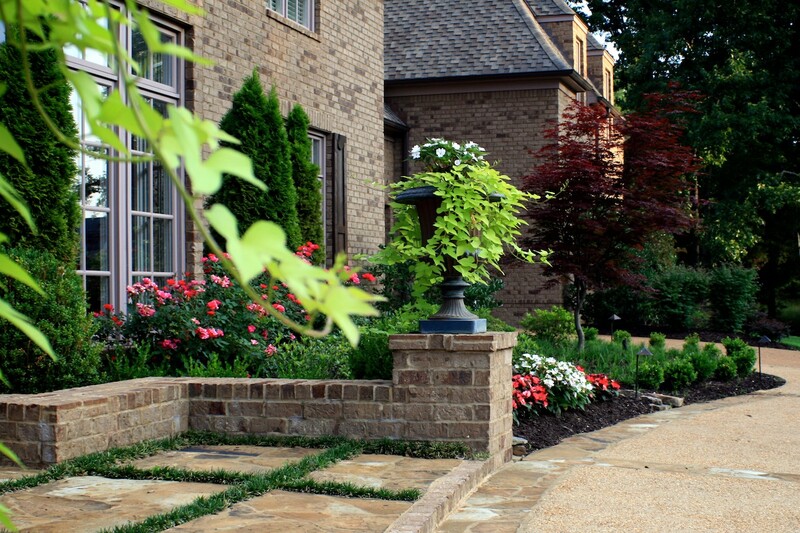 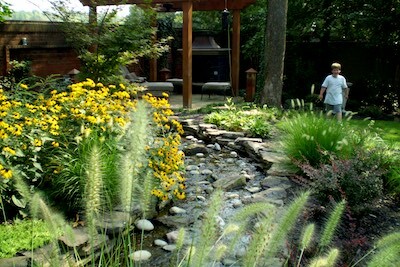 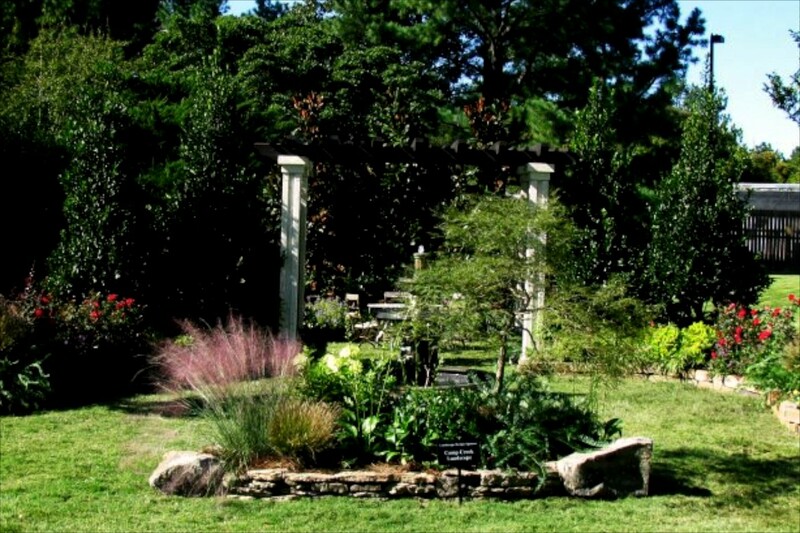 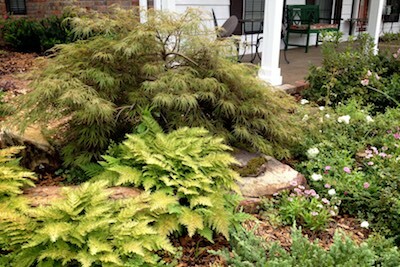 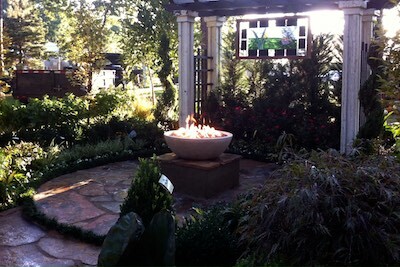 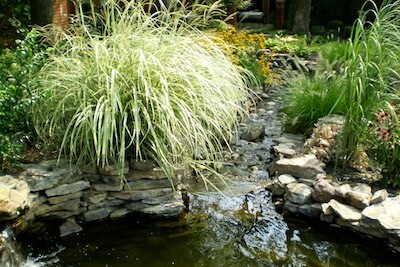 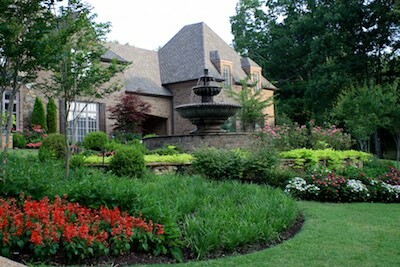 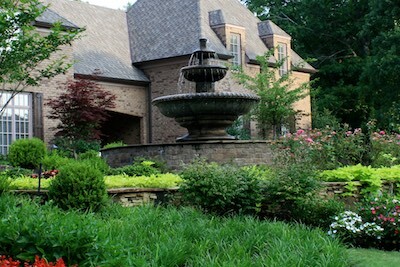 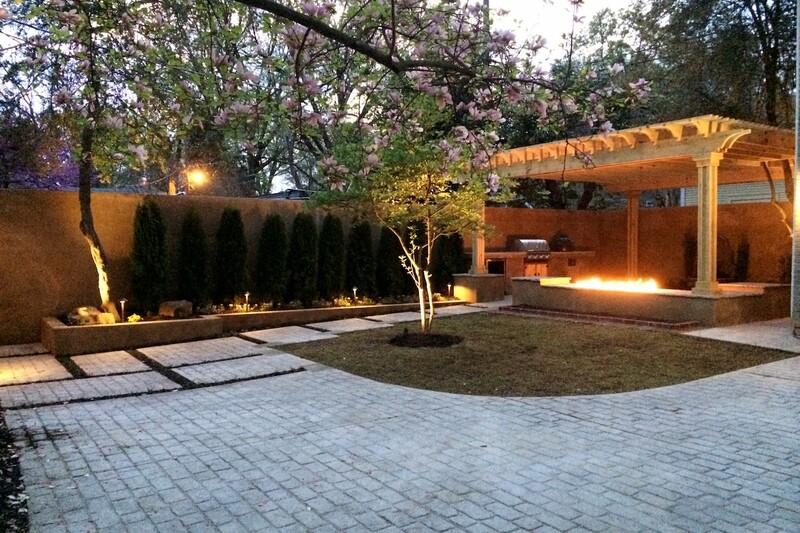 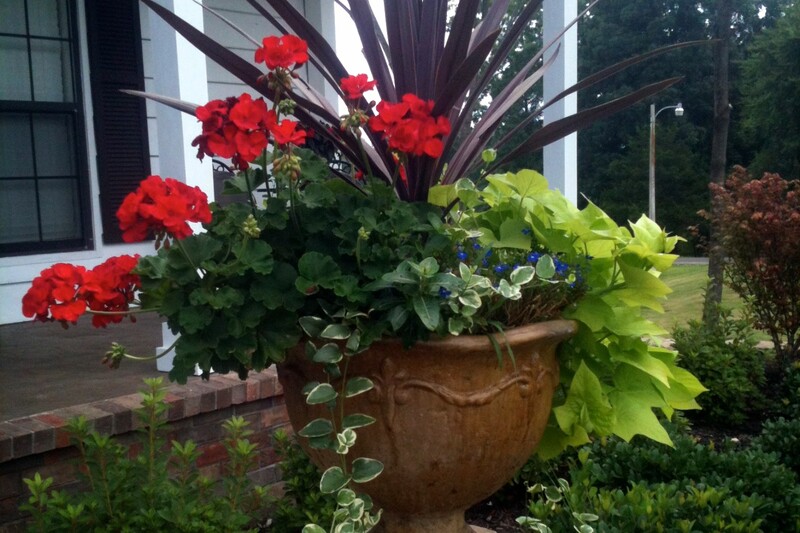 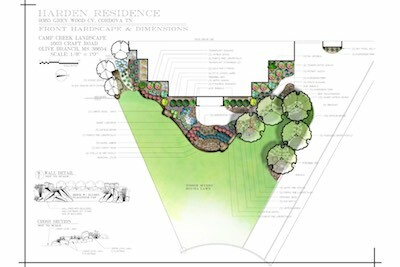 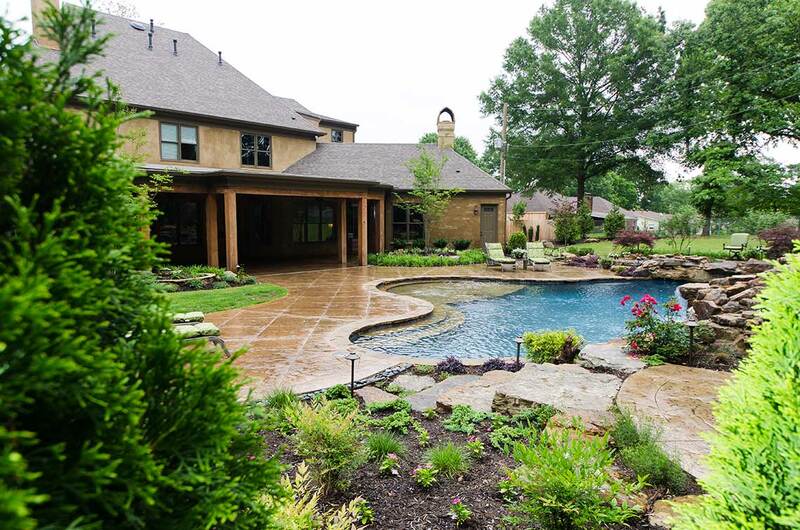 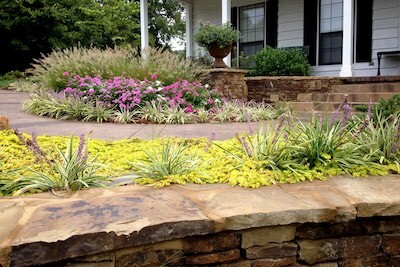 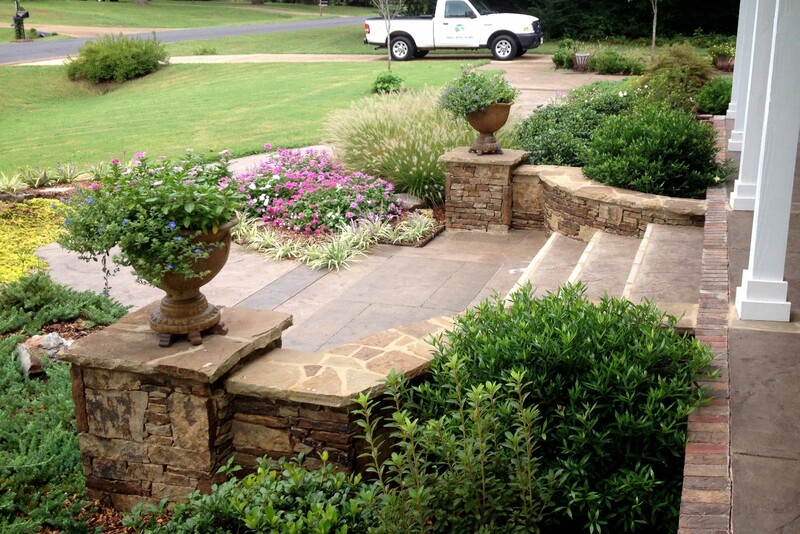 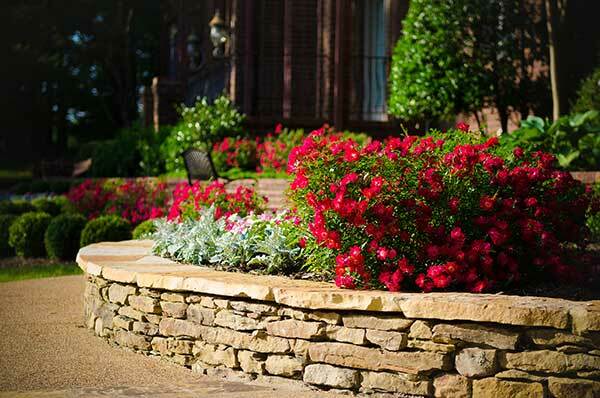 Our process relies heavily on learning about your wants, desires, and dreams when it comes to landscape architecture. 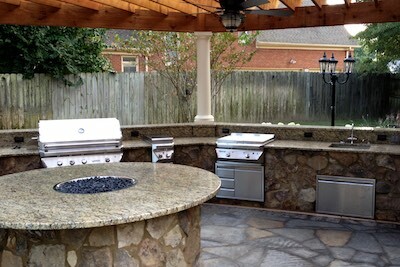 Let's work together to design your dream! 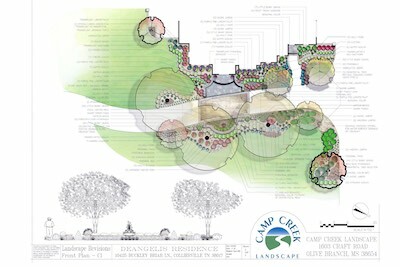 To see how an idea takes shape from preliminary sketch to final construction, please enjoy our video. 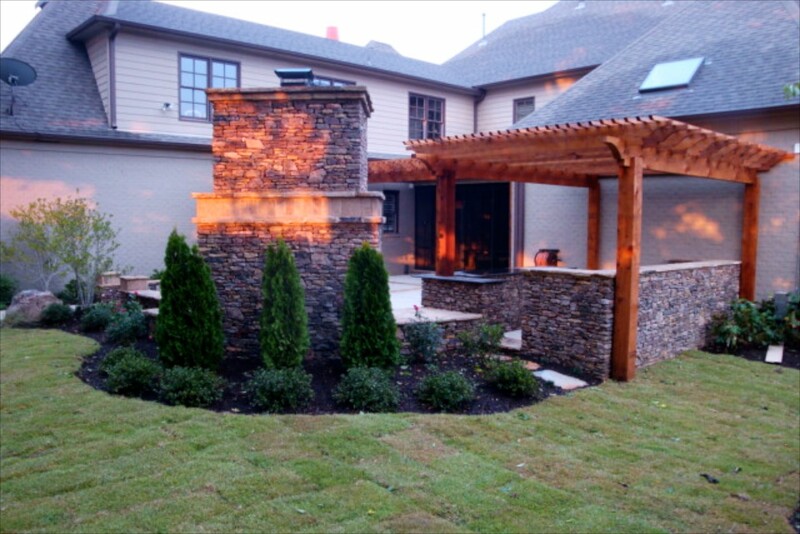 Click on an image below to learn more about these featured projects. Click on any thumbnail below to enlarge the image. For great pro tips, tricks, and news! 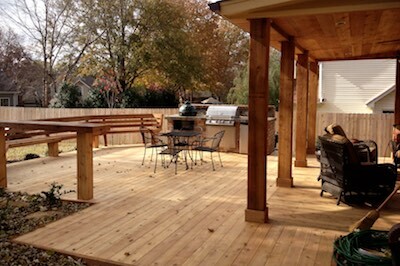 If you're thinking of starting a new project or just wanting to talk, we would love to hear from you. Success! 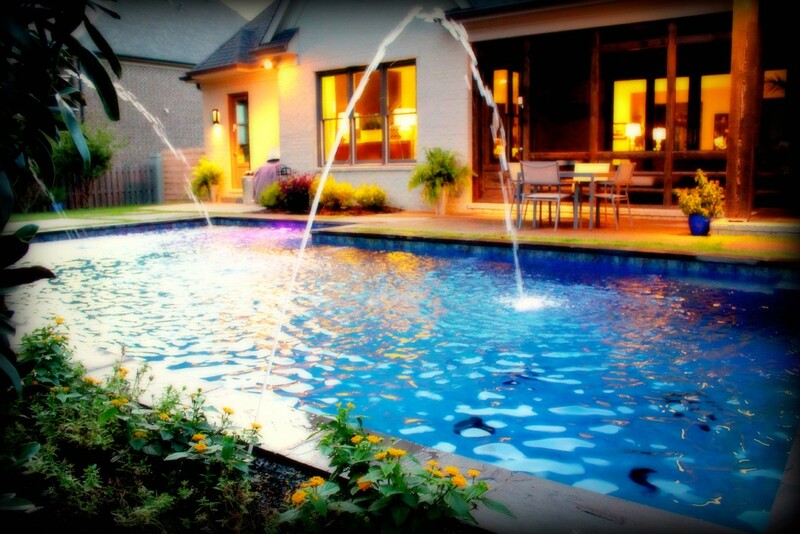 We'll be in touch! 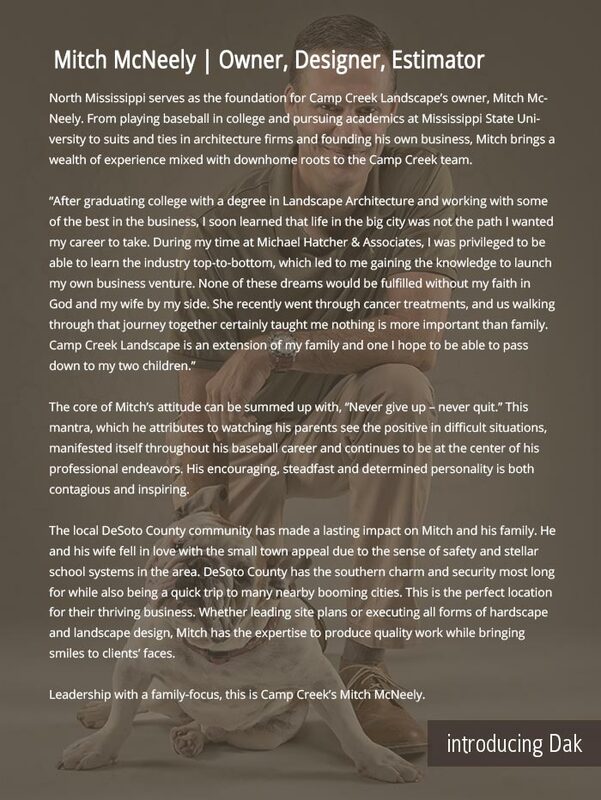 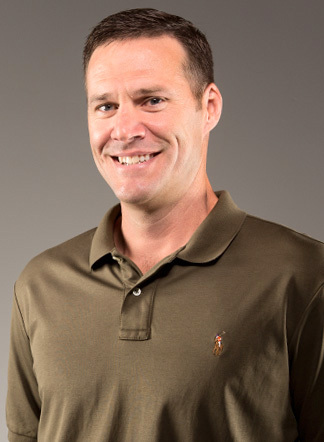 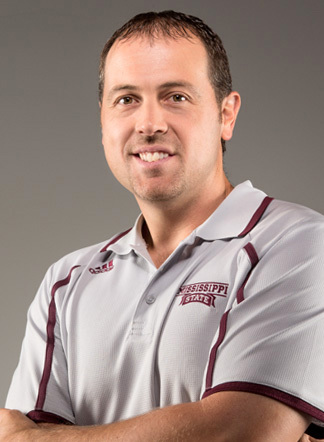 Mitch McNeely, Camp Creek Founder, always had a dream and vision to start his own business where he could provide a family friendly atmosphere for not only himself, but also the Camp Creek team. 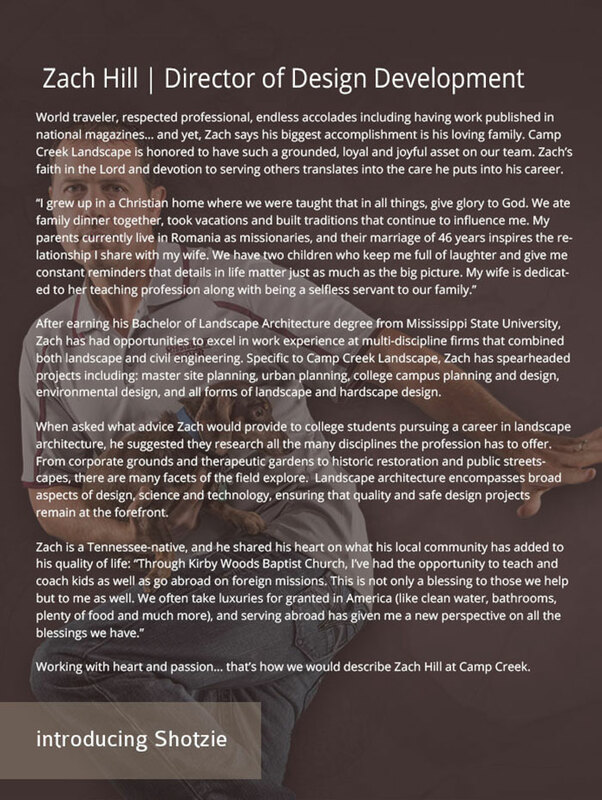 He believed that if he could provide an environment of positivity and fun, the entire team's true creative passion could thrive. In turn, the results delivered to the clients would be evidence of their passion and commitment to excellence. 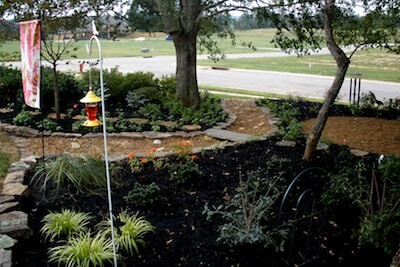 © 2019 Camp Creek Landscape, All Rights Reserved.